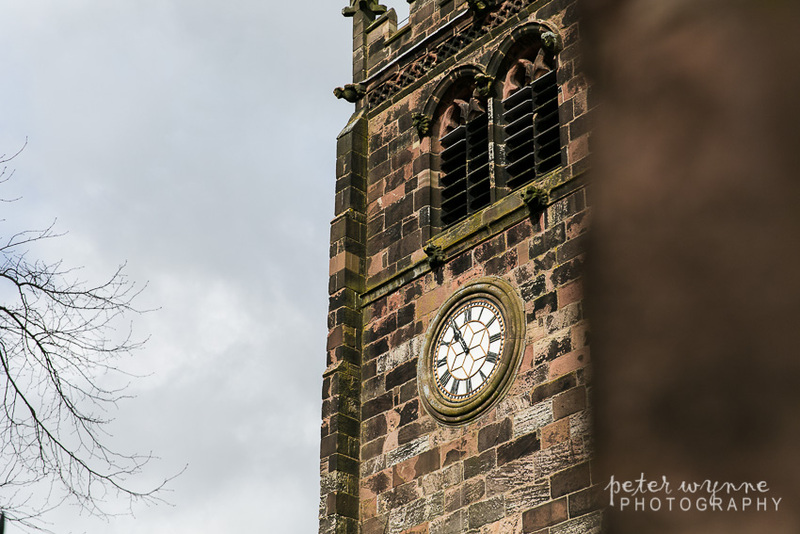 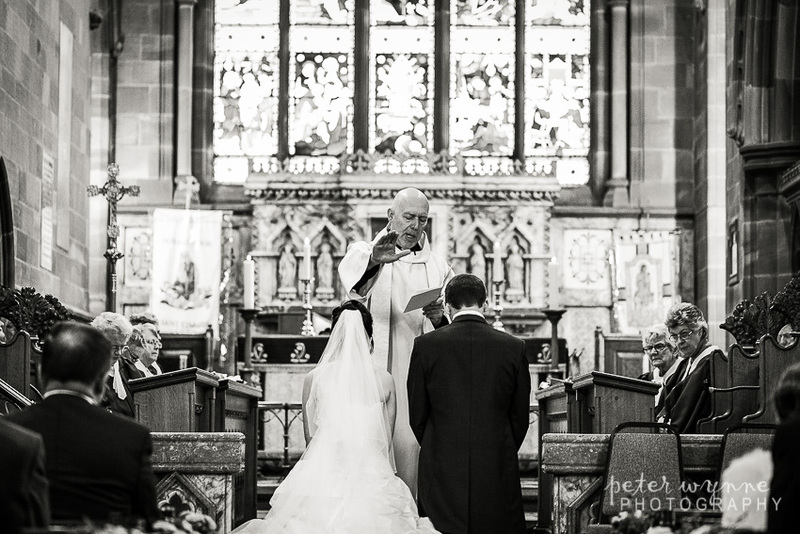 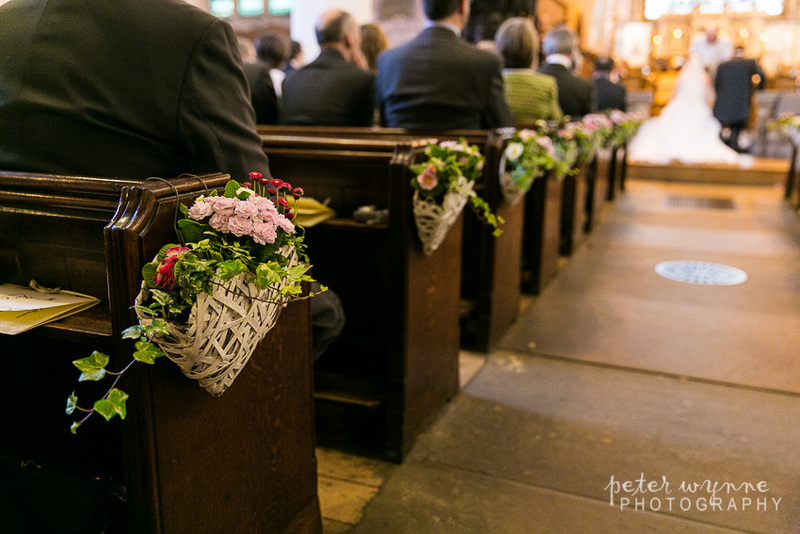 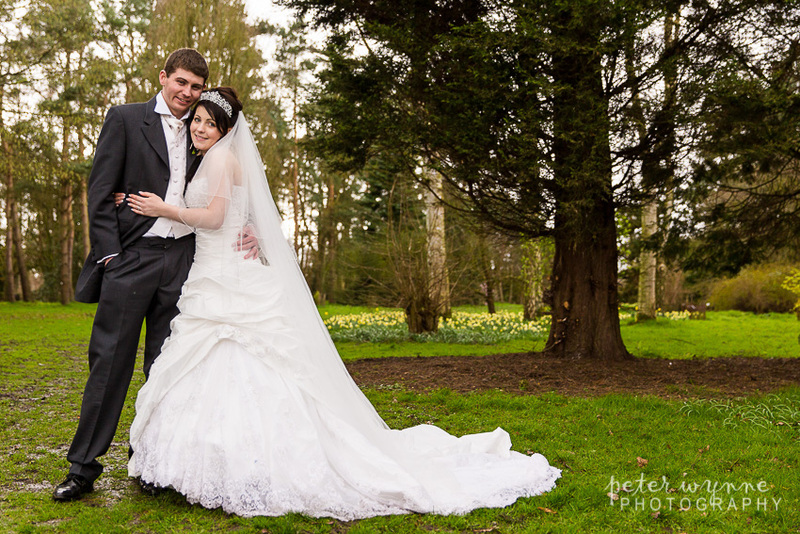 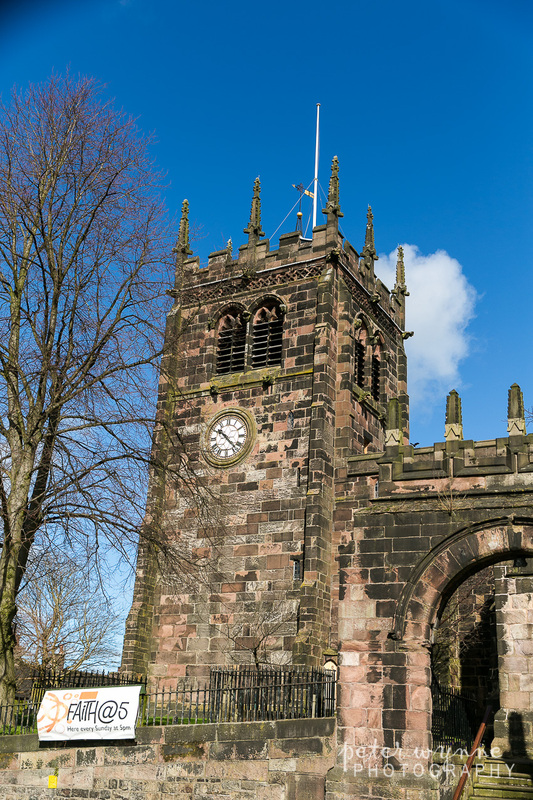 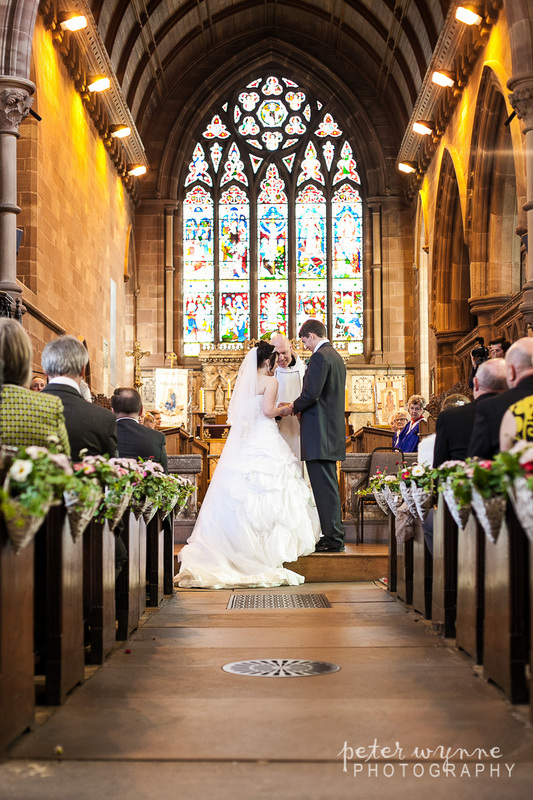 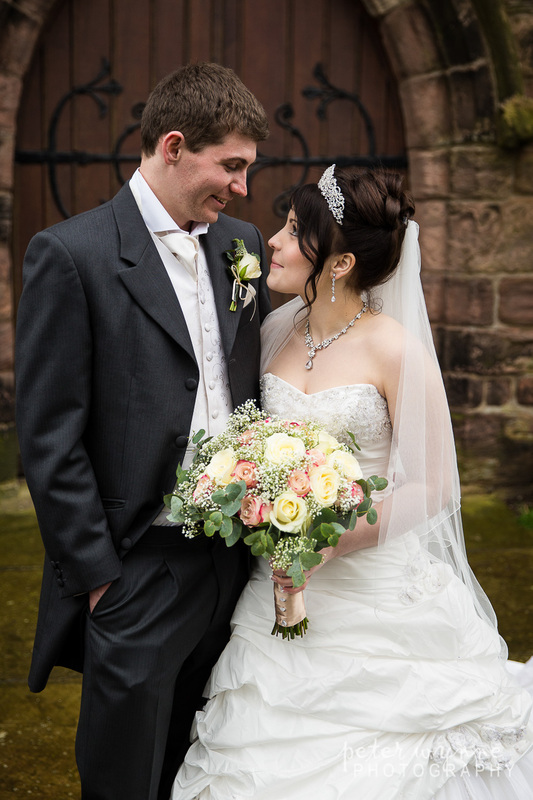 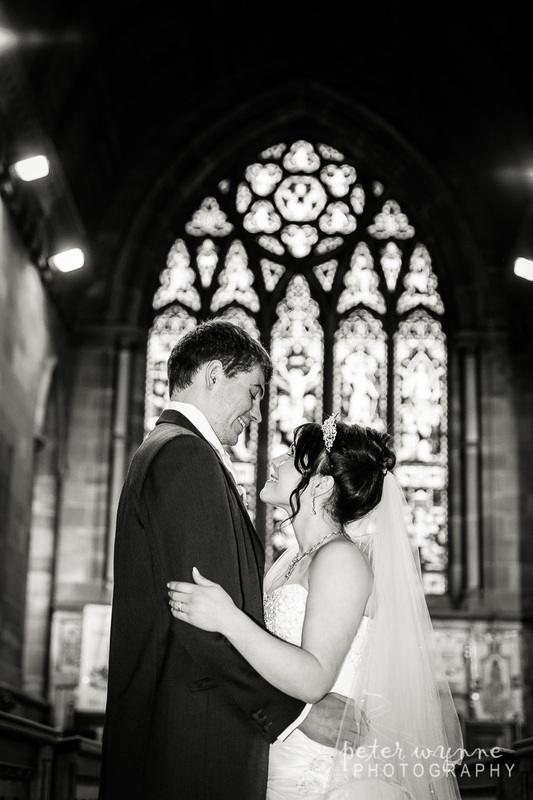 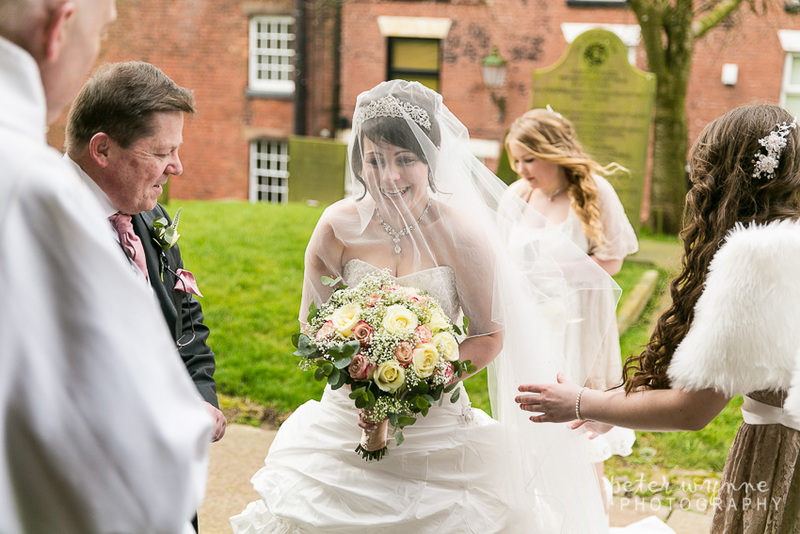 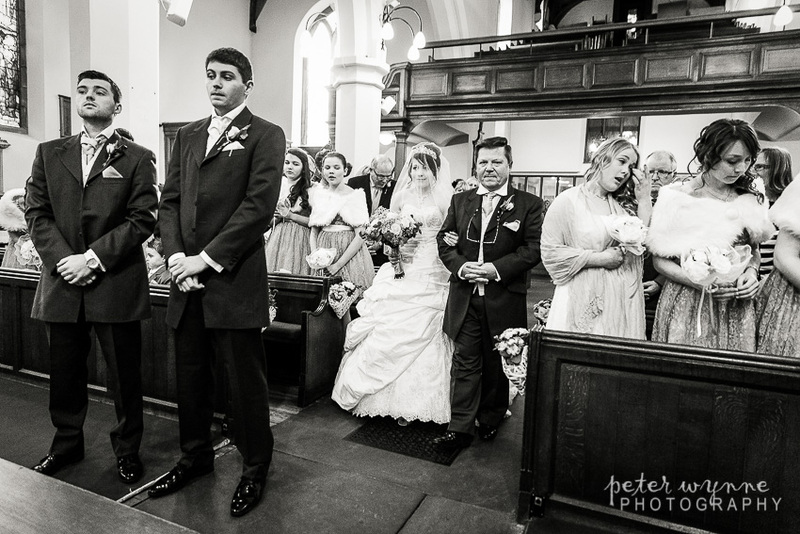 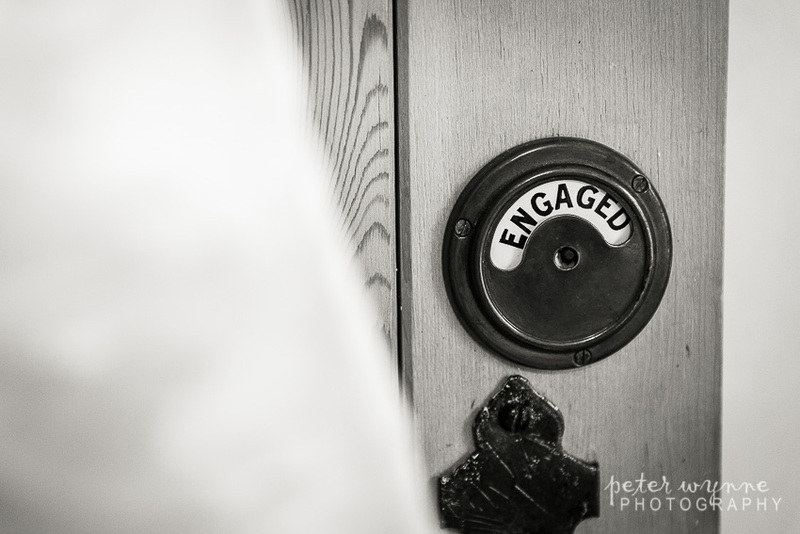 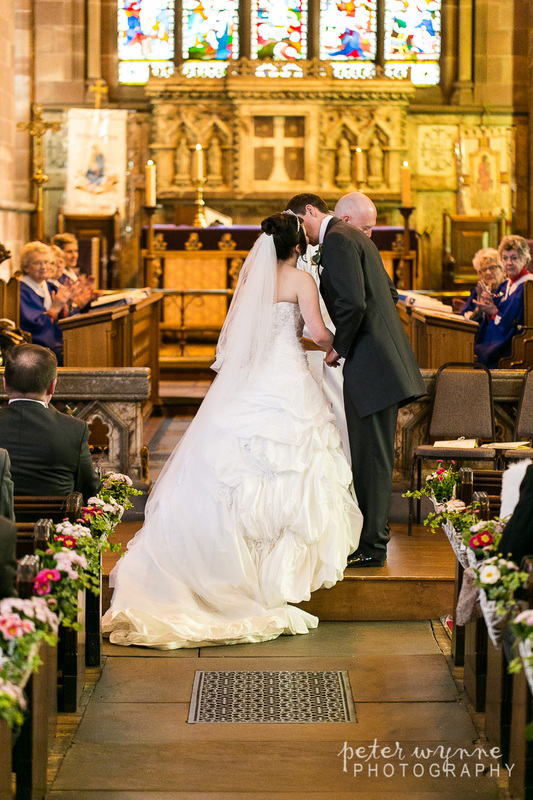 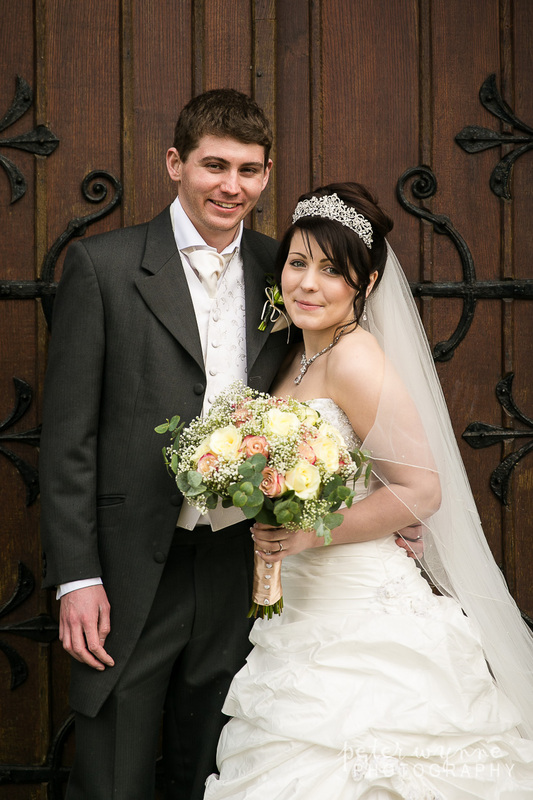 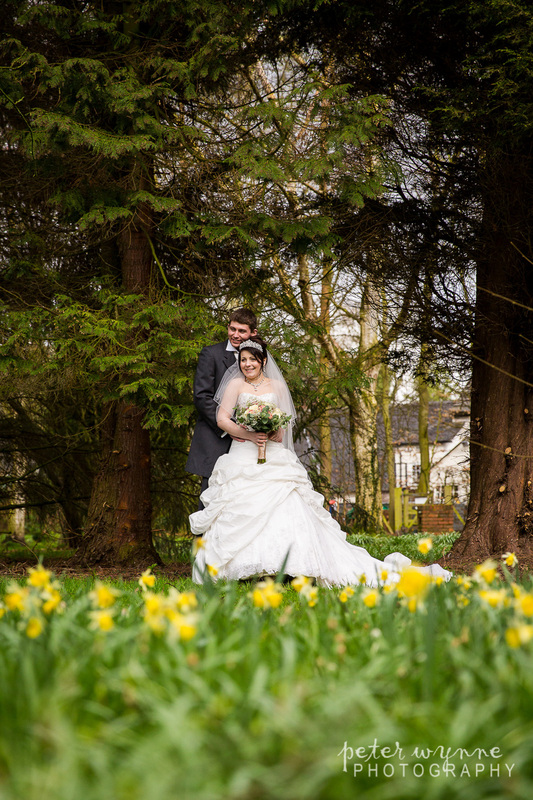 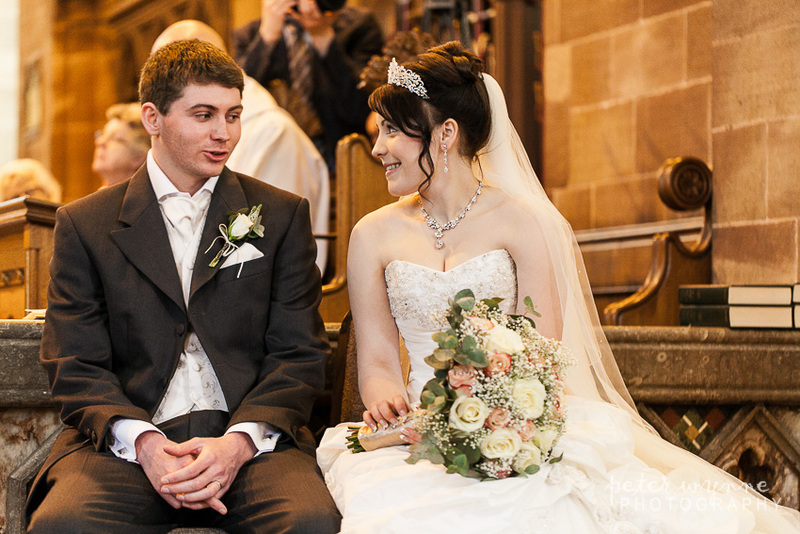 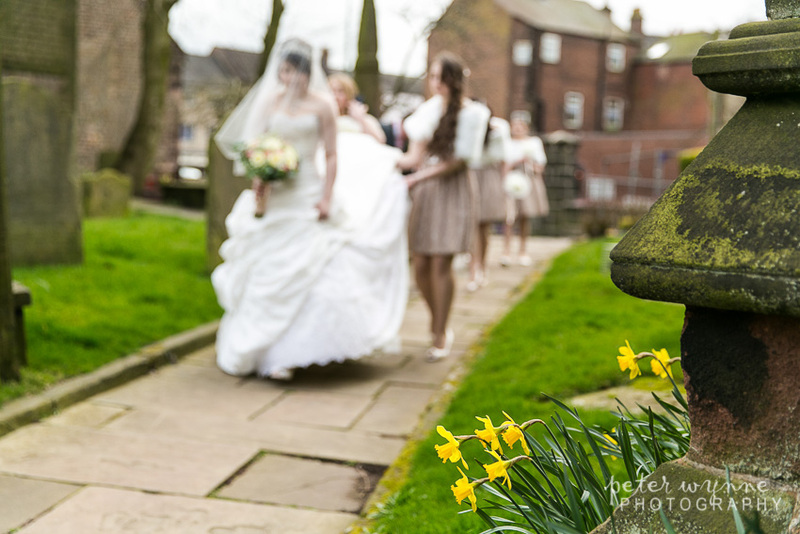 Charlotte and Joel were married at St Edwards Church in Leek, Staffordshire. 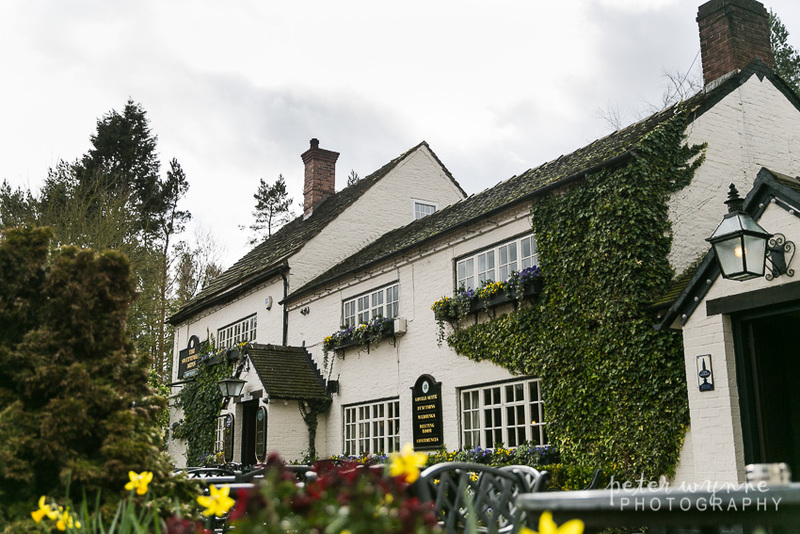 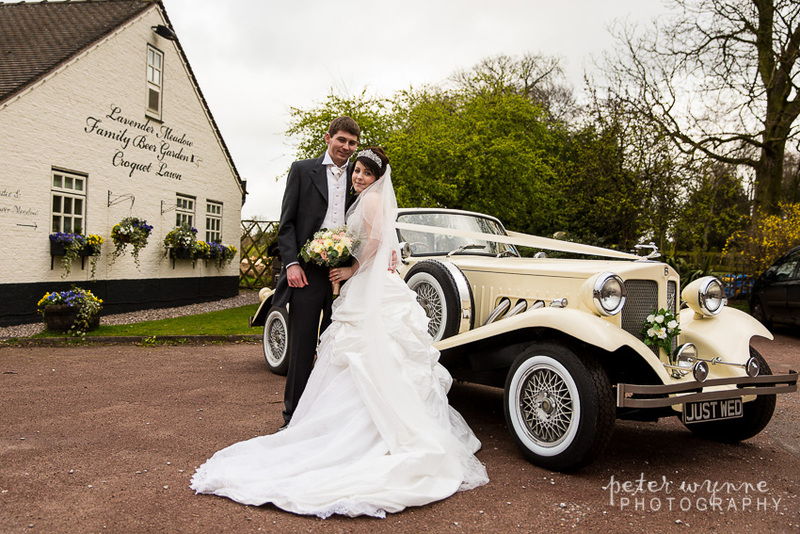 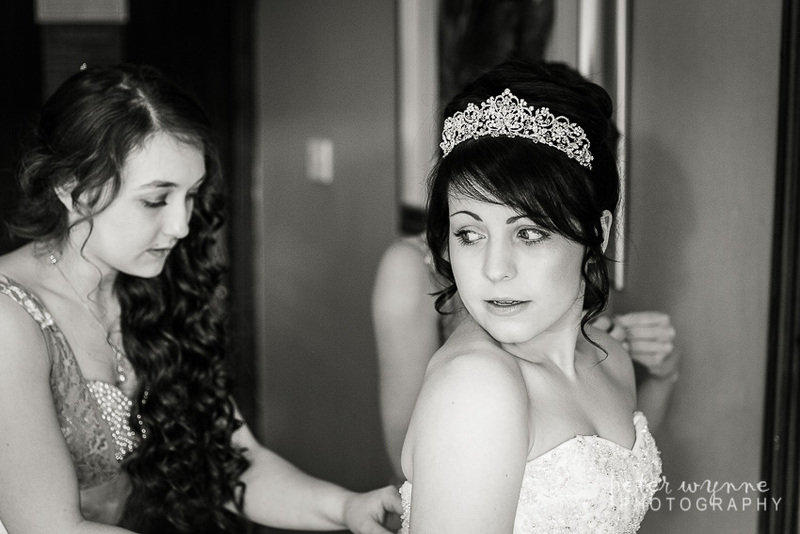 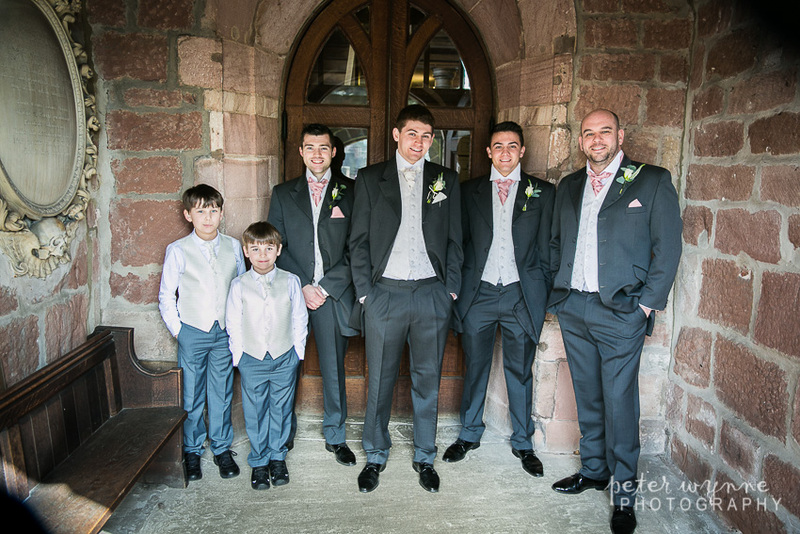 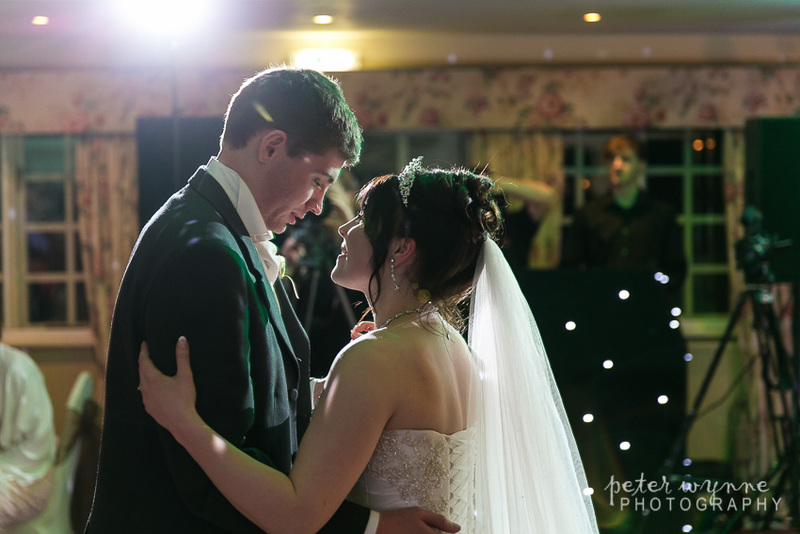 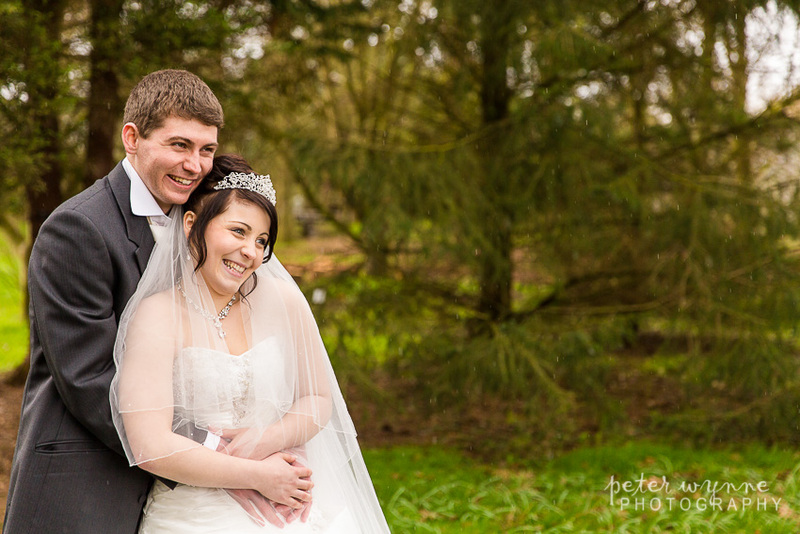 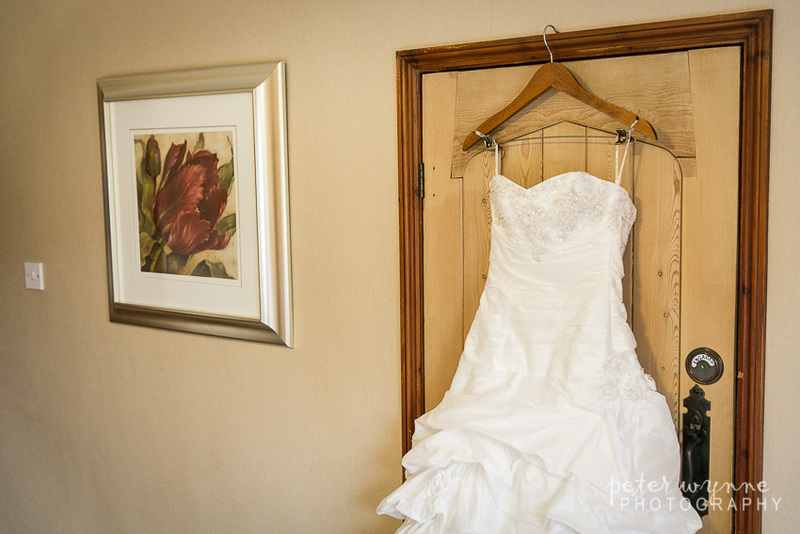 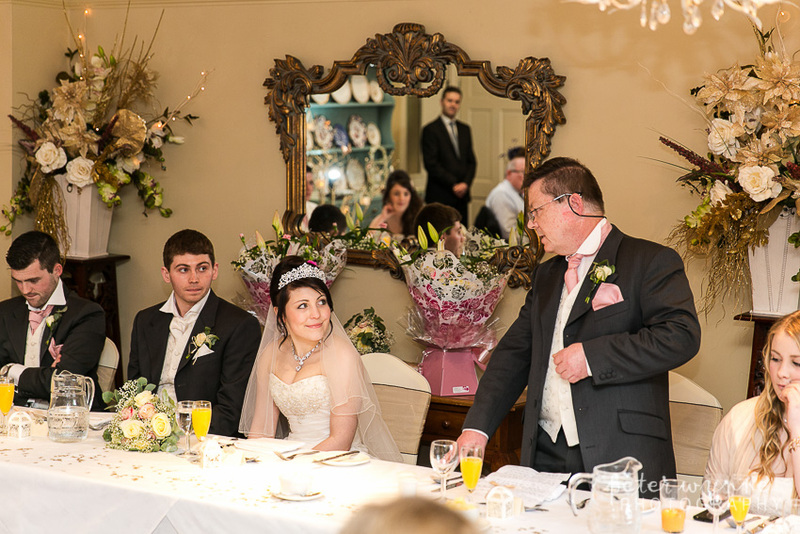 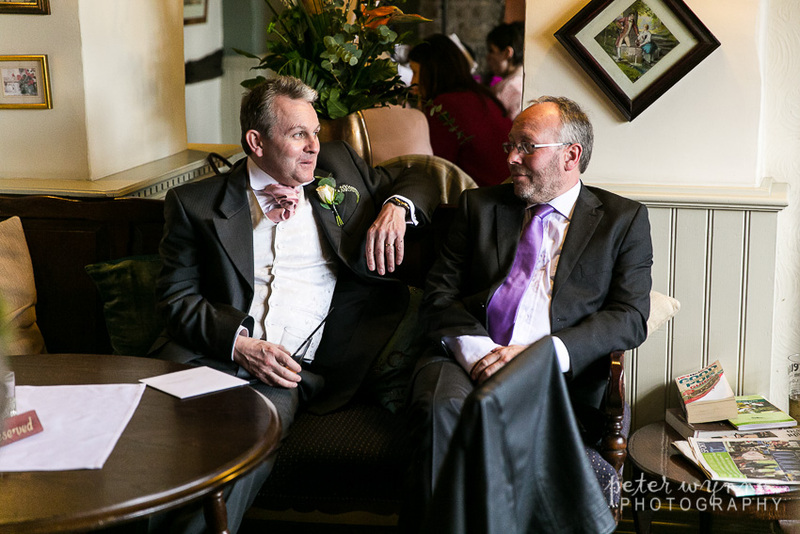 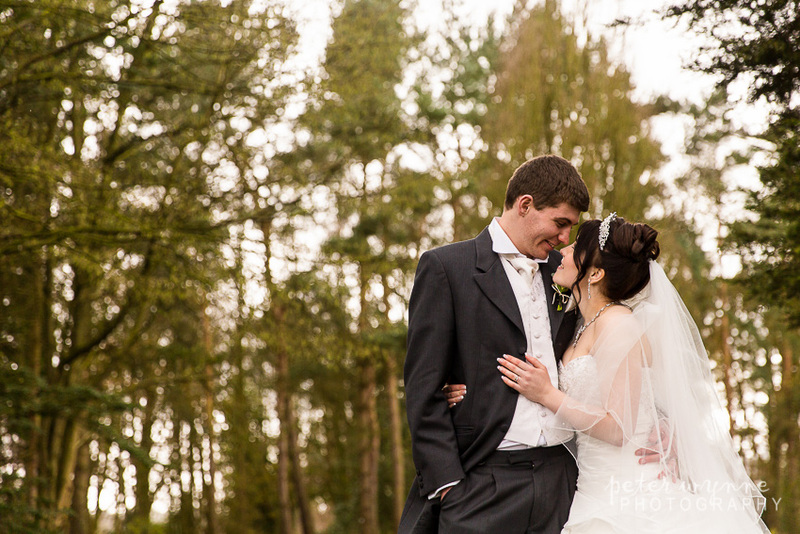 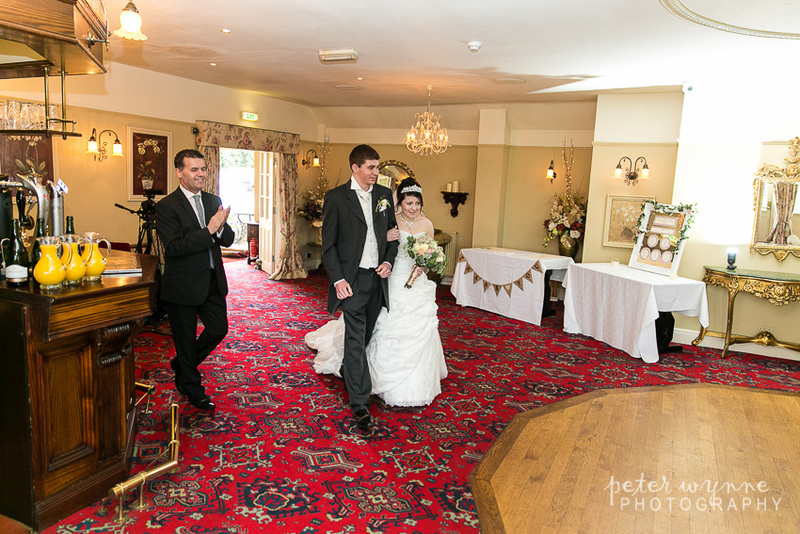 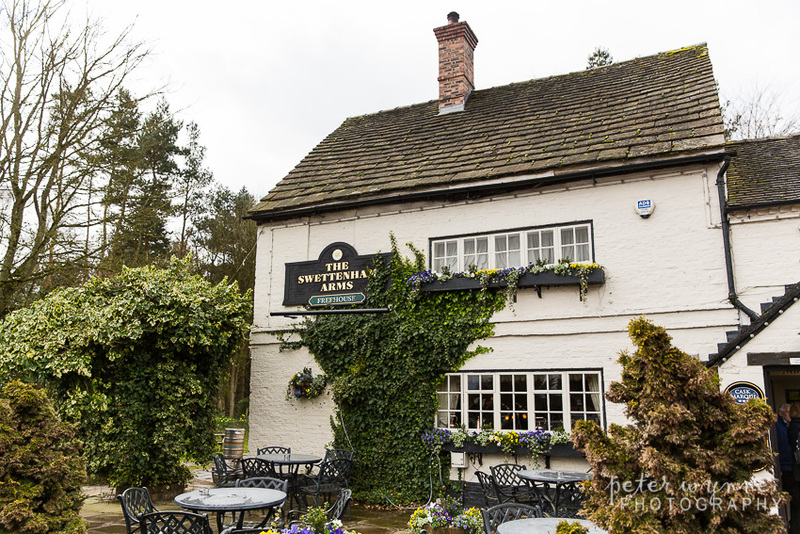 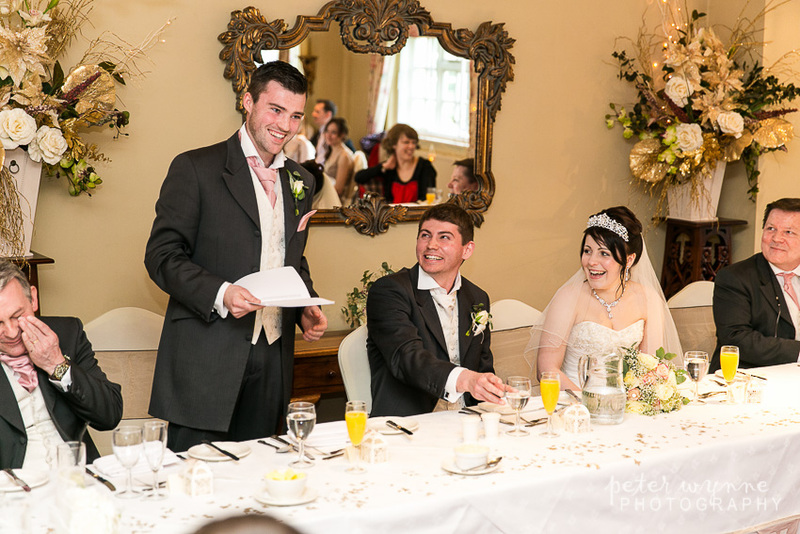 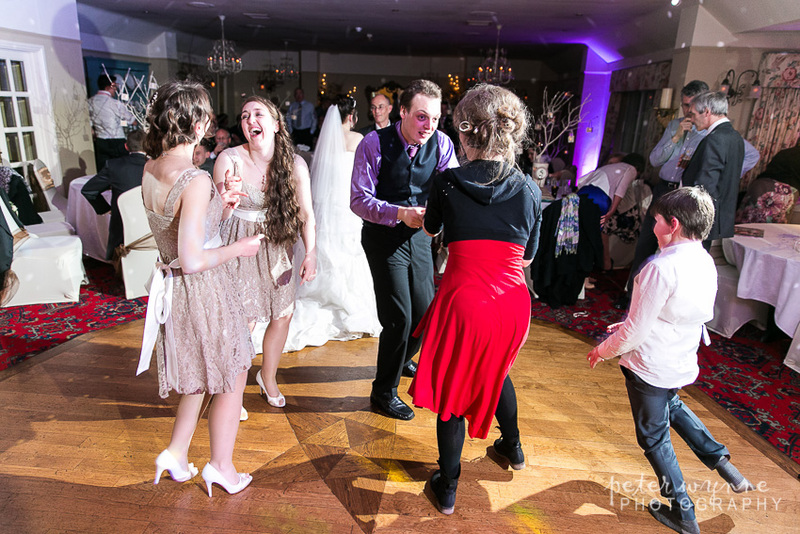 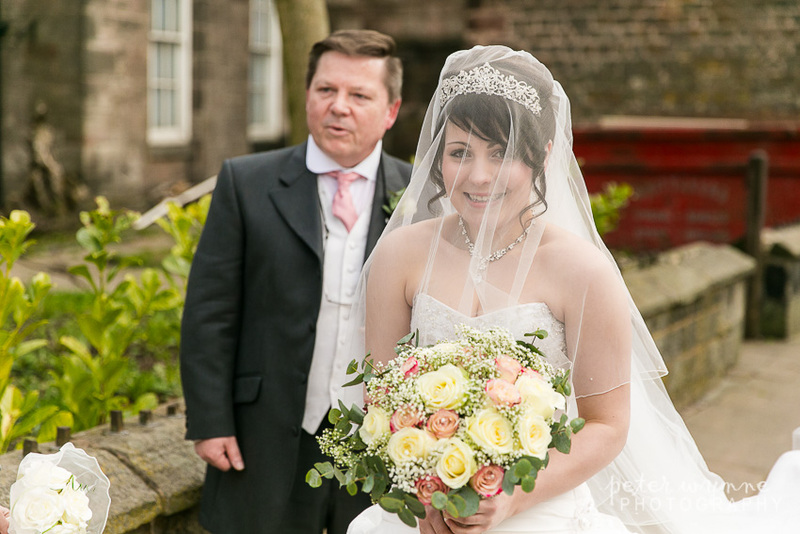 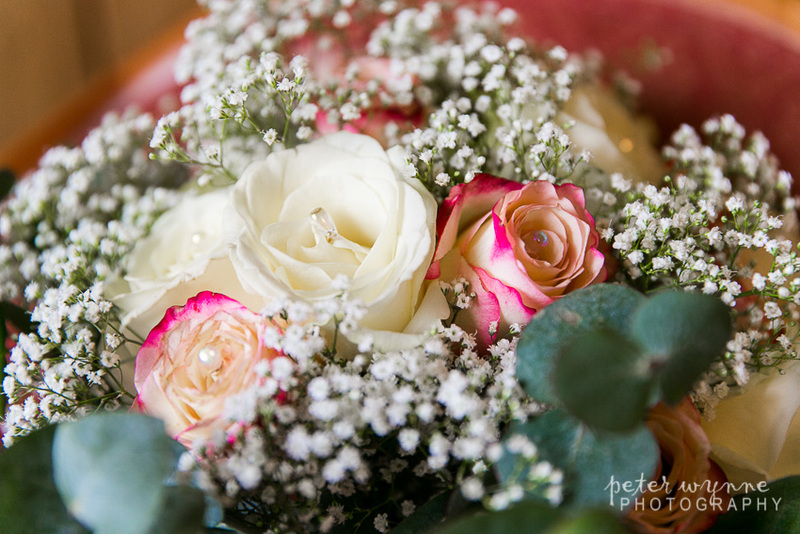 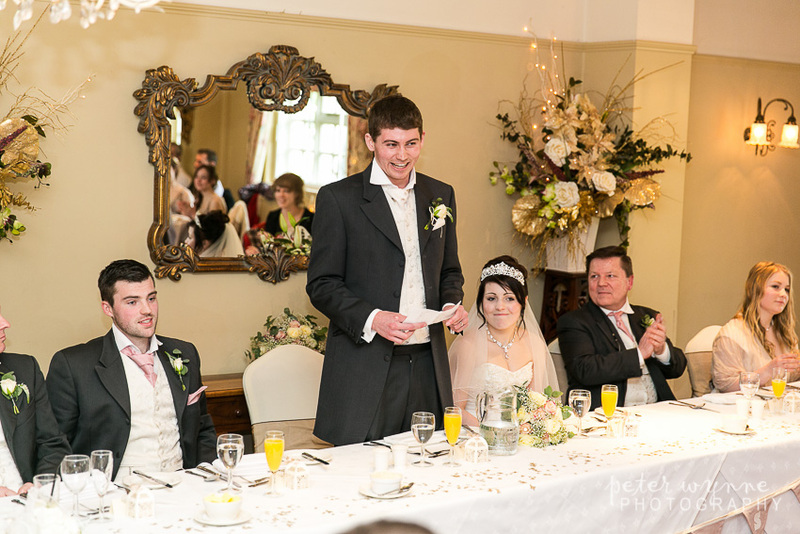 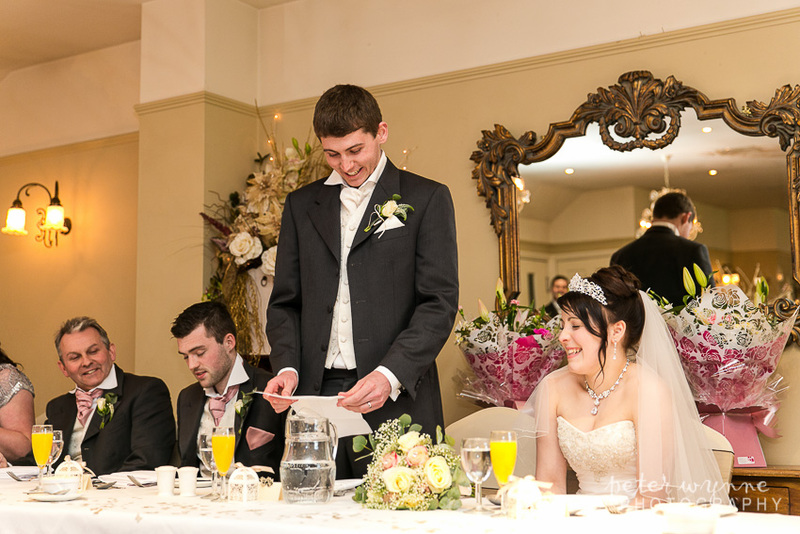 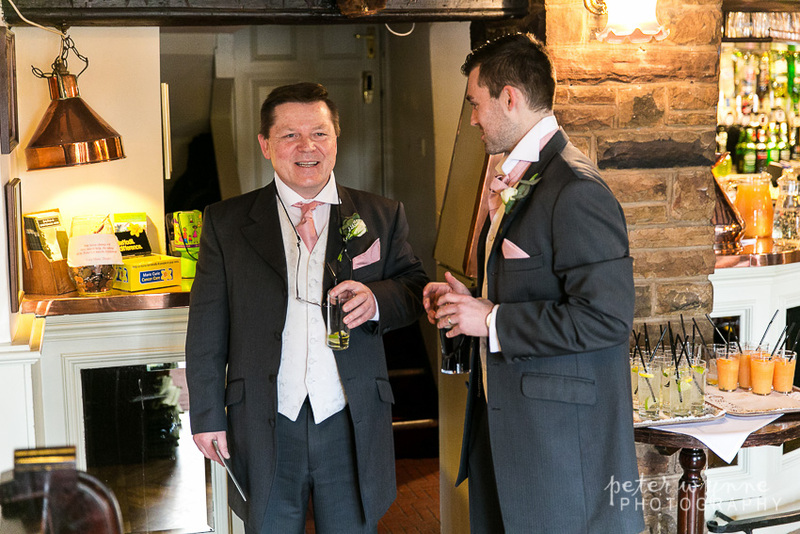 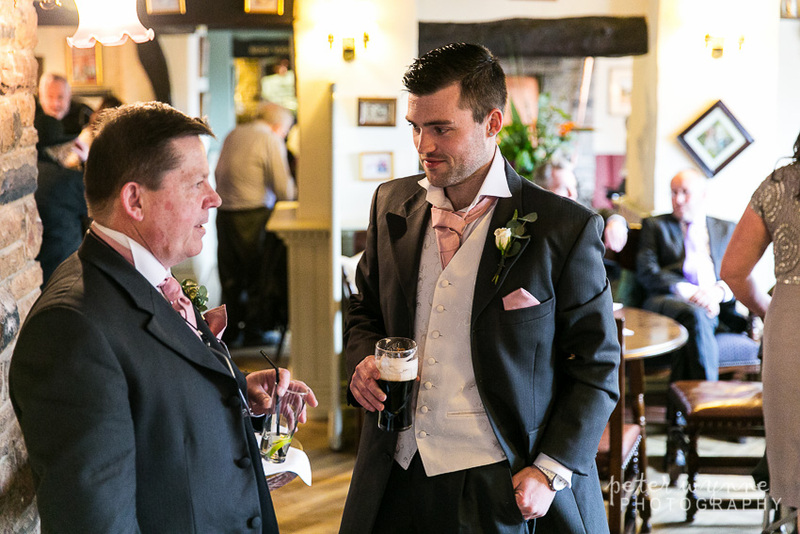 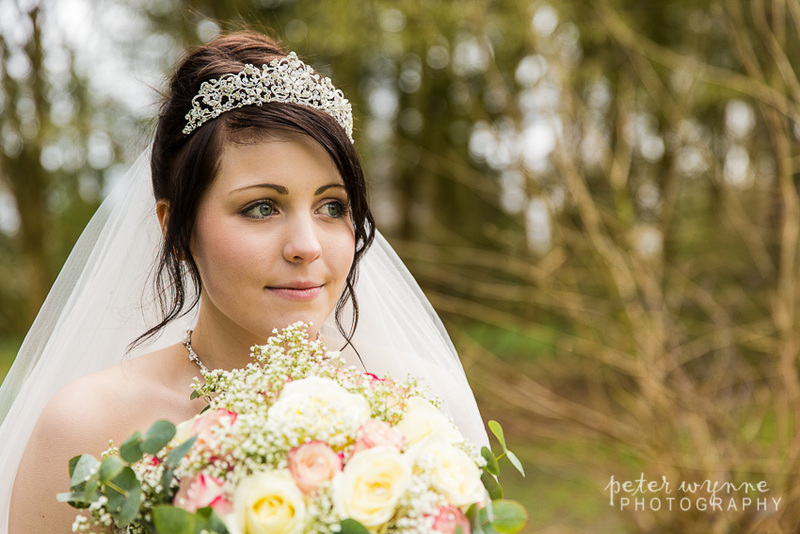 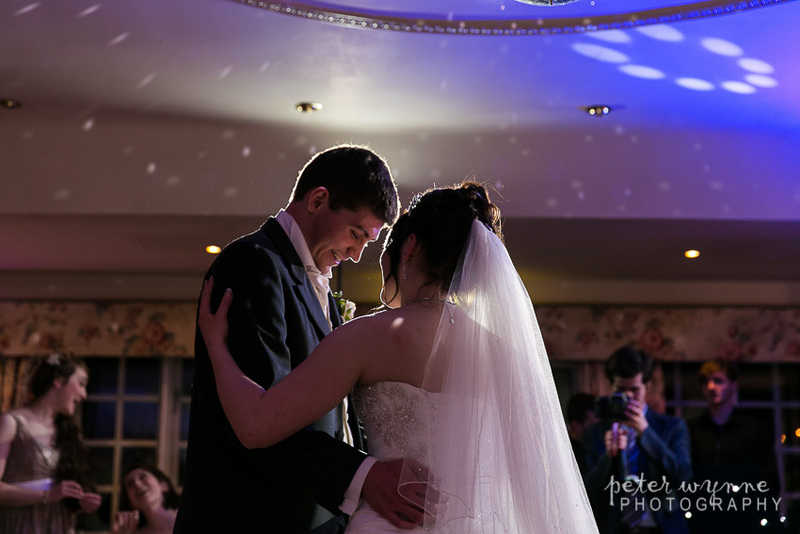 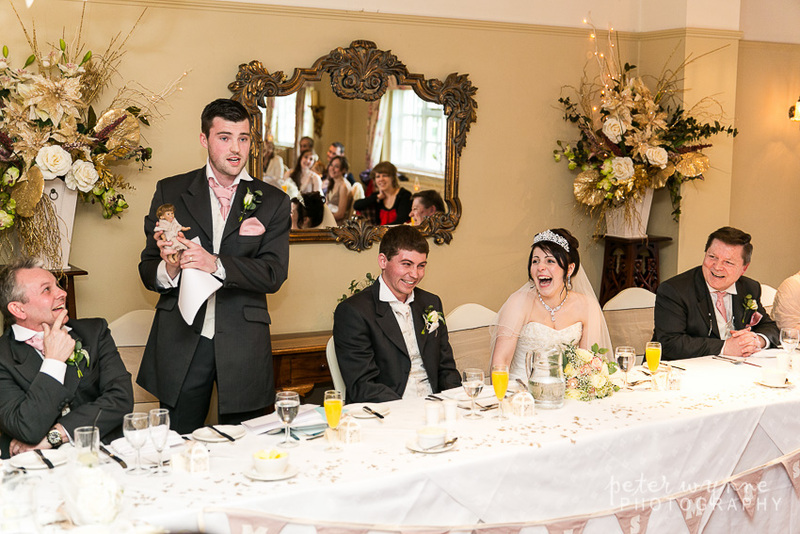 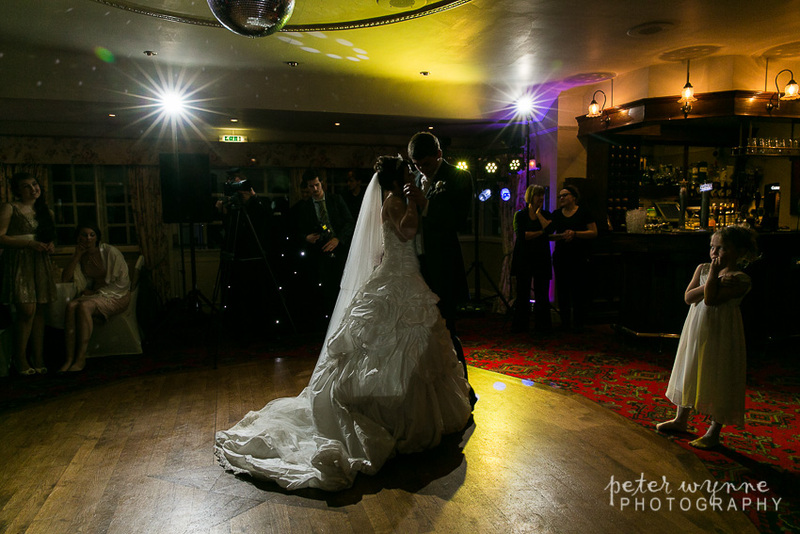 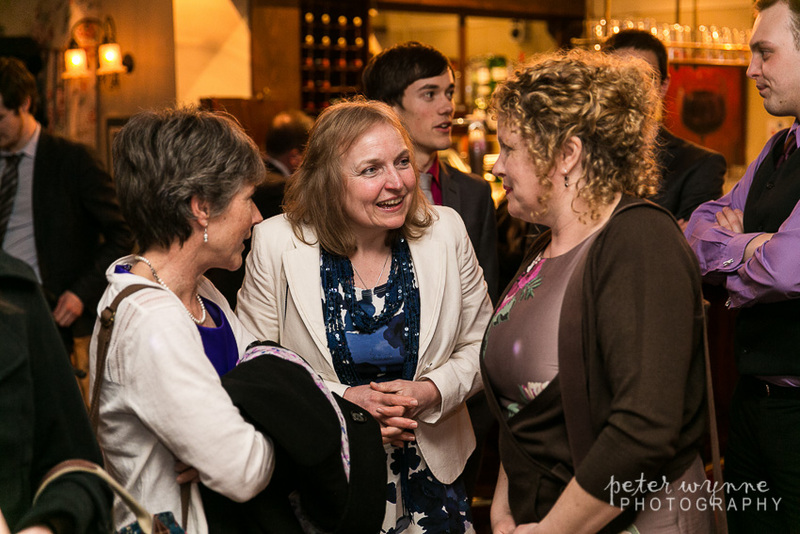 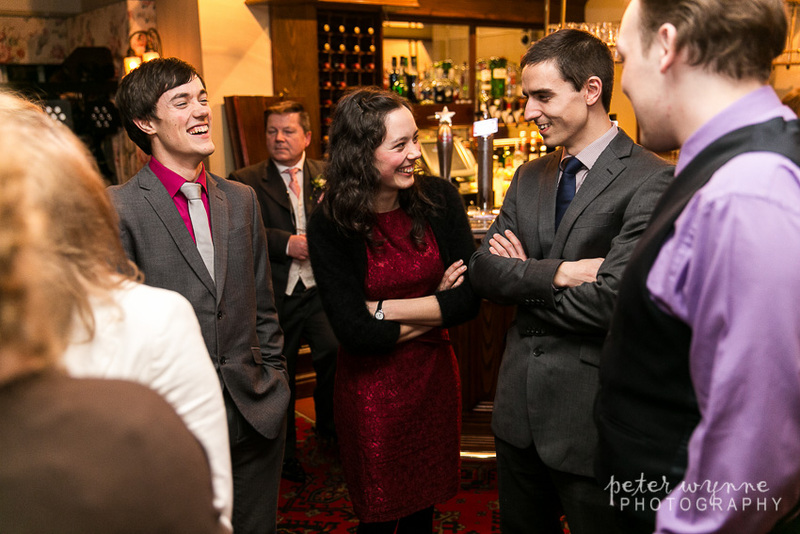 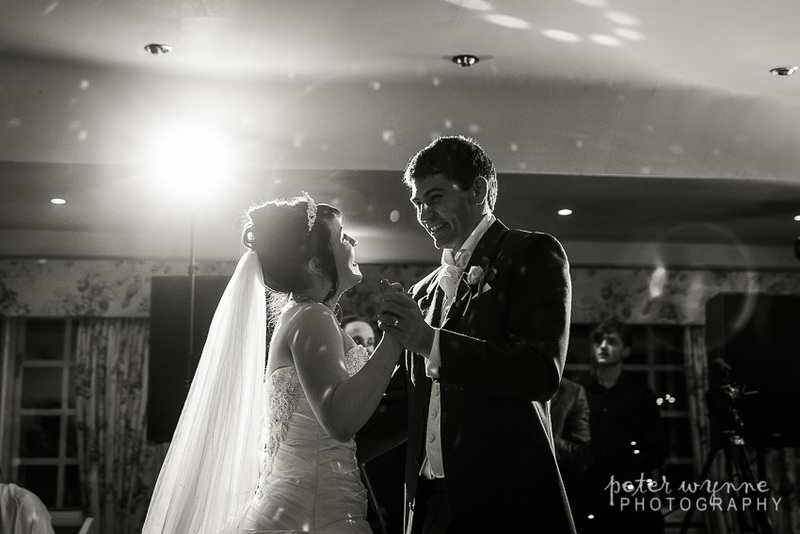 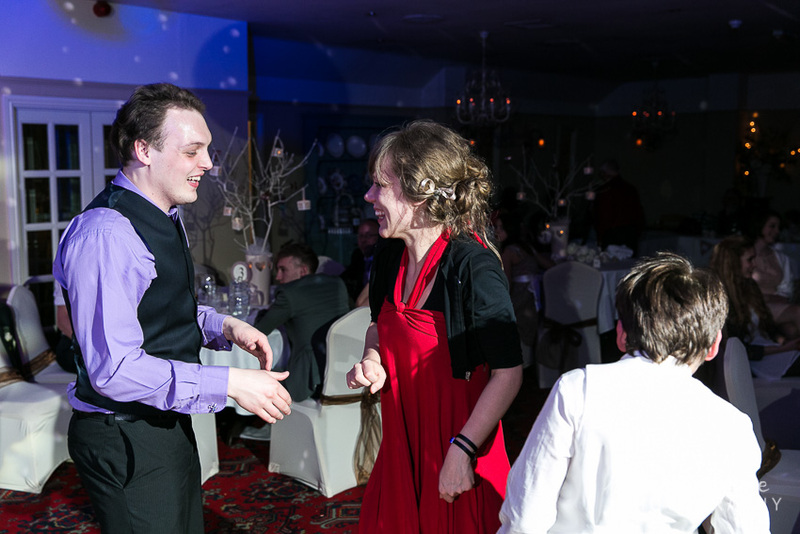 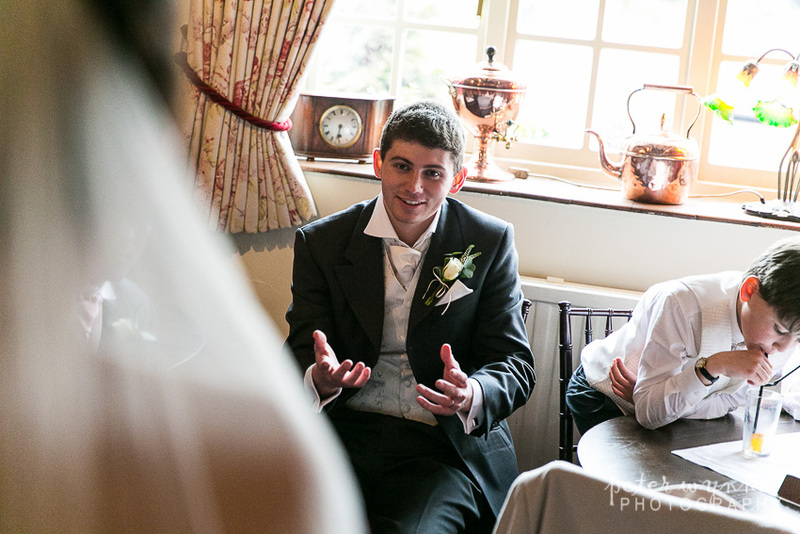 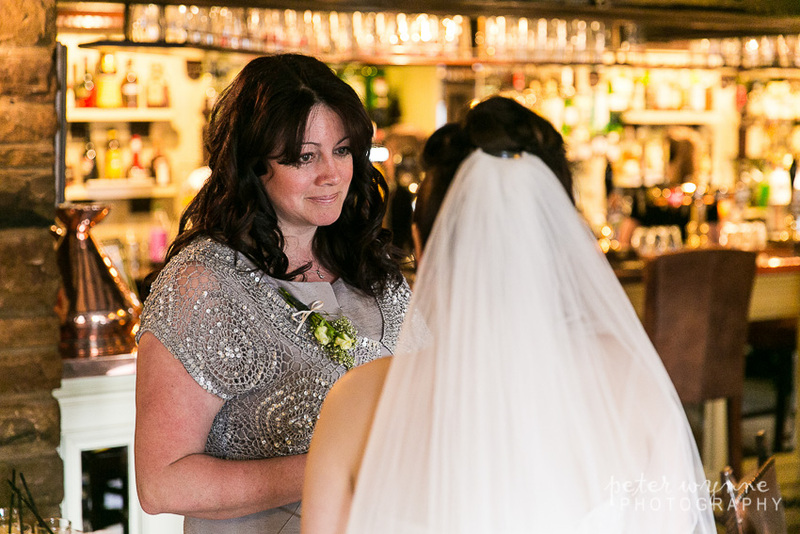 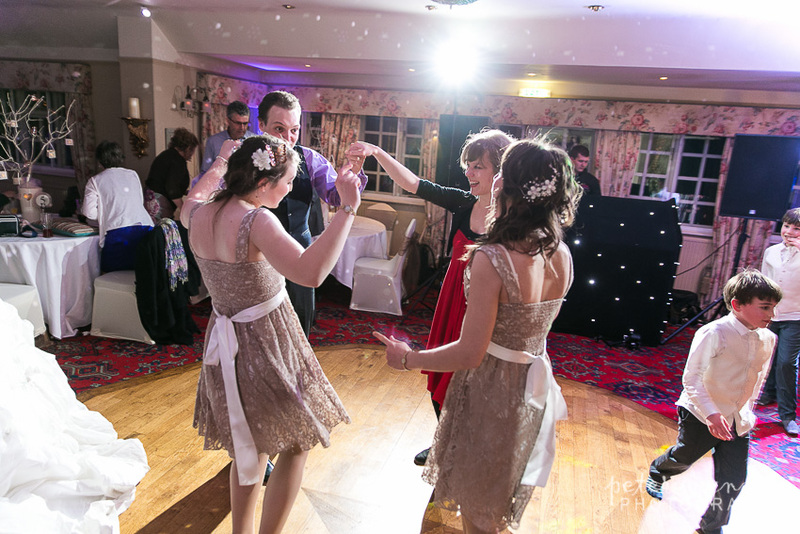 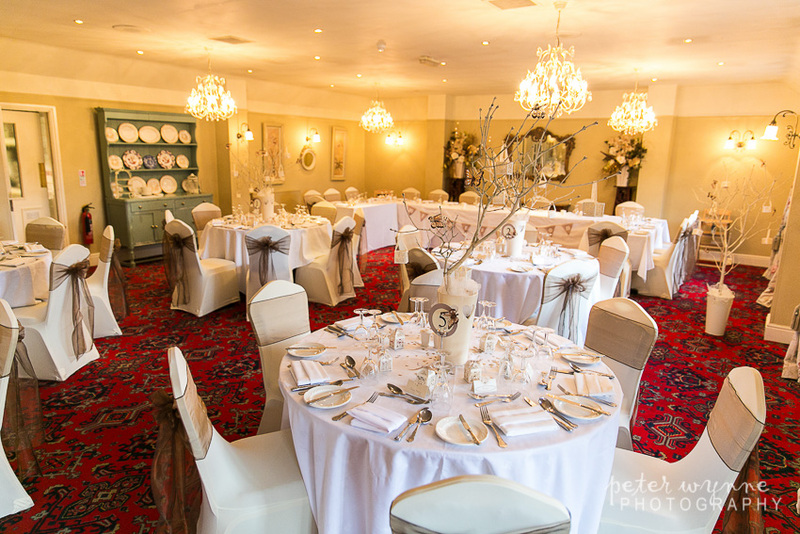 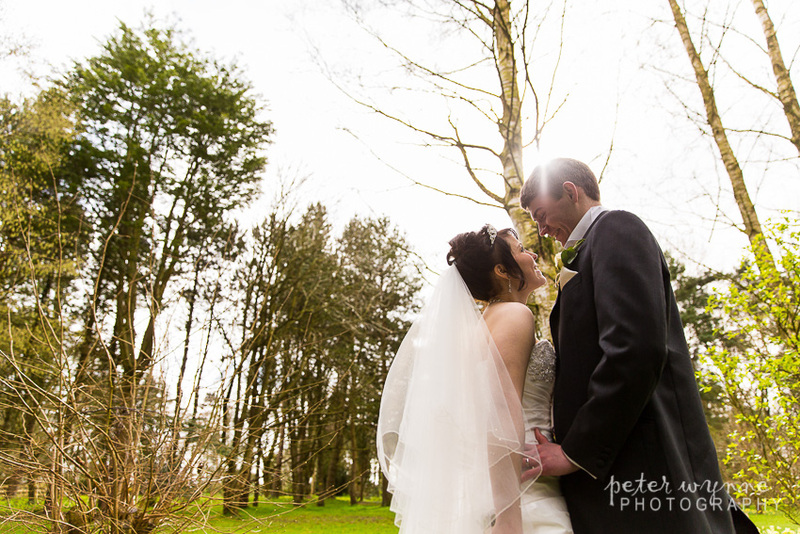 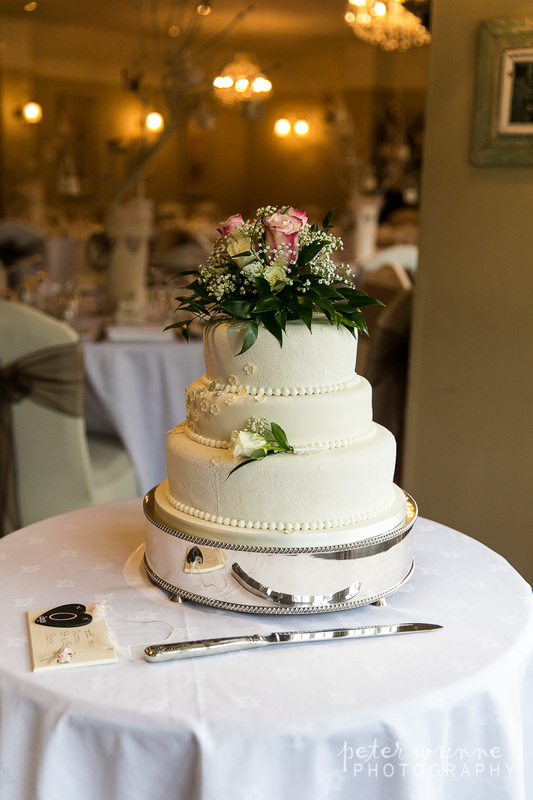 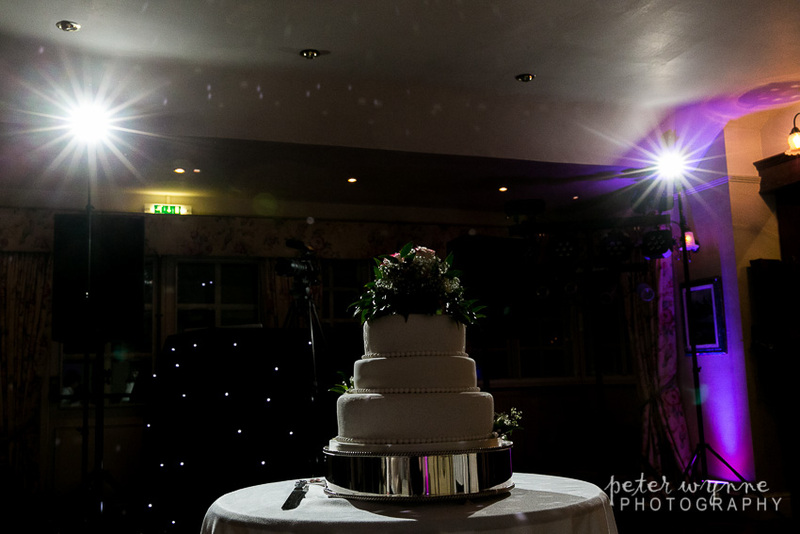 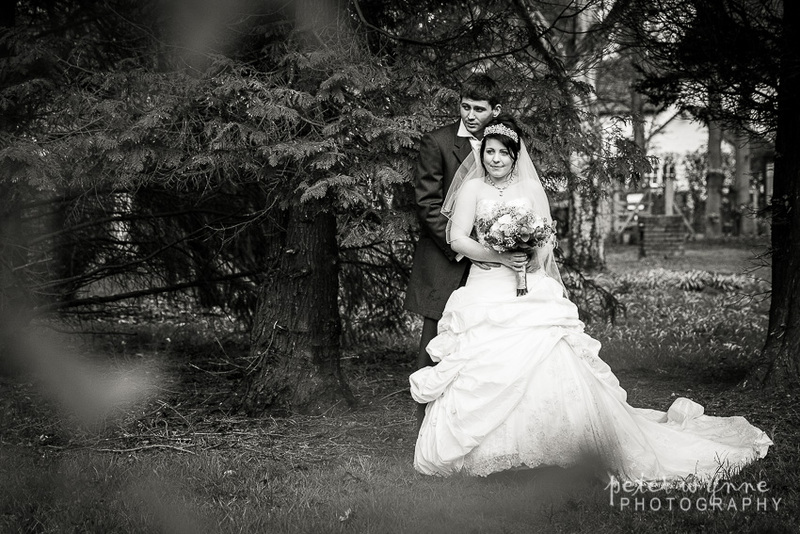 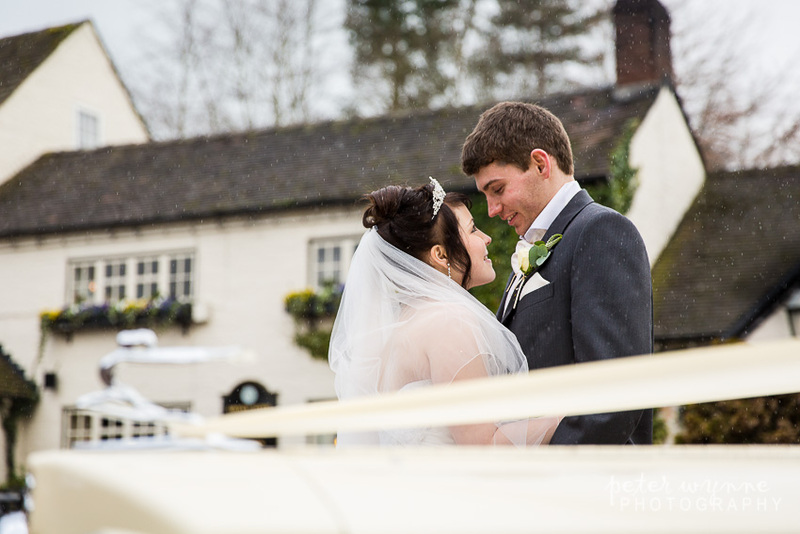 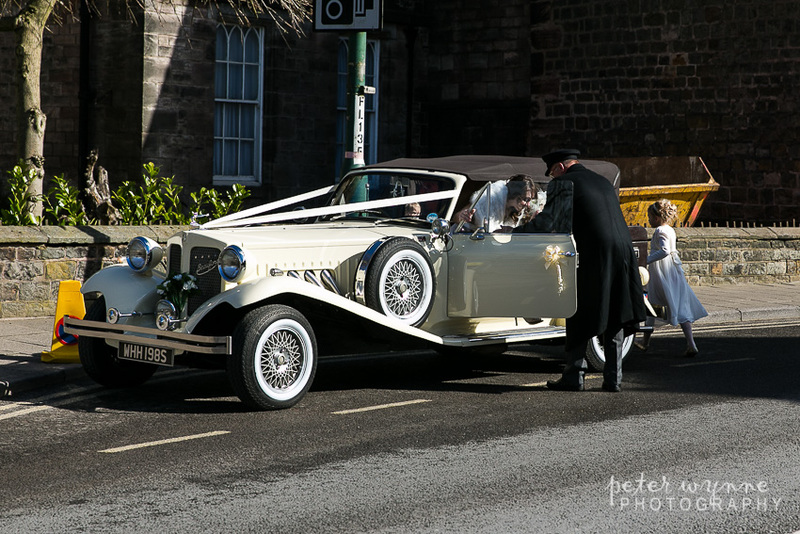 Their wedding reception was held at the stunningly beautiful Swettenham Arms near Congleton. 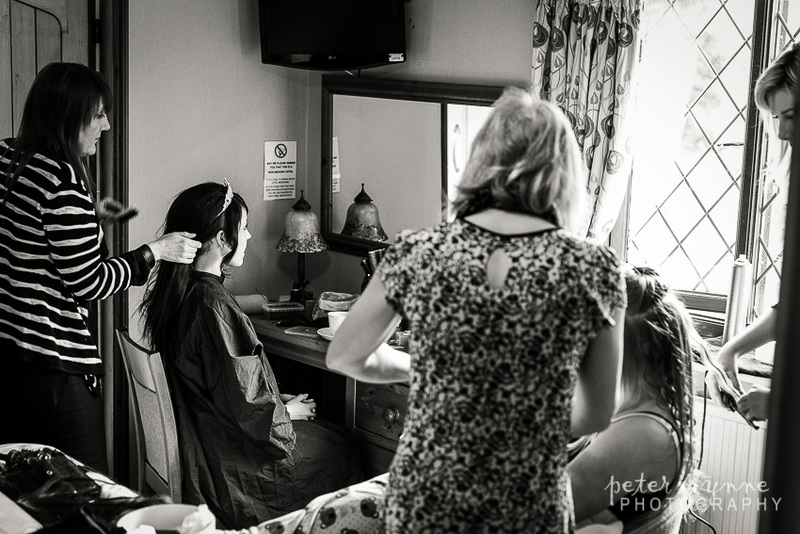 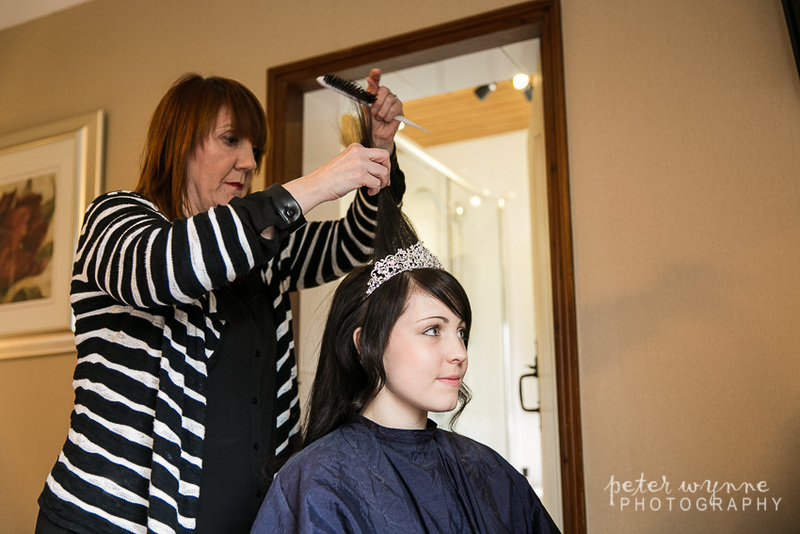 I met up with Charlotte for photos of the bridal preparations at a beautiful country inn called the Three Horsehoes, which was not far from the church. 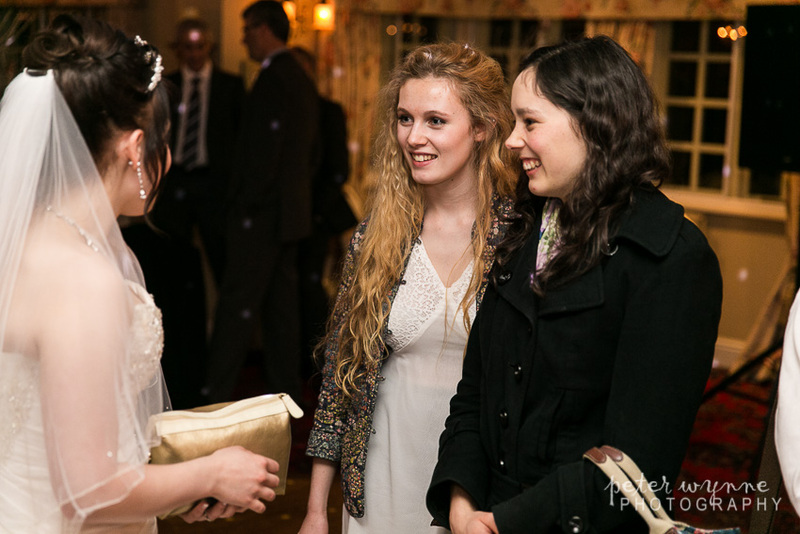 Everyone was really excited, Charlotte was cool as you can be. 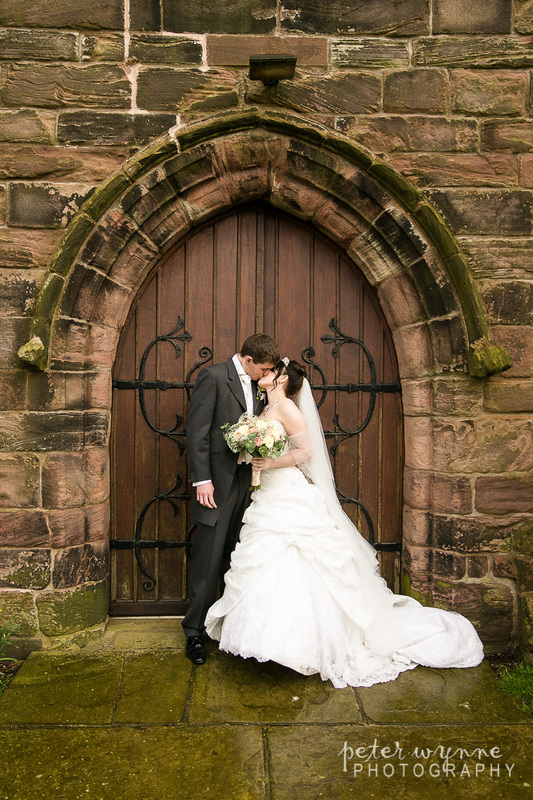 After spending time with Charlotte, I made my way to the church to meet up with Joel and his groomsmen for a few photos and then get ready for Charlottes arrival, I checked things over with the minister to make sure they were happy with me being where I wanted to be and then I headed back outside to wait for Charlotte. 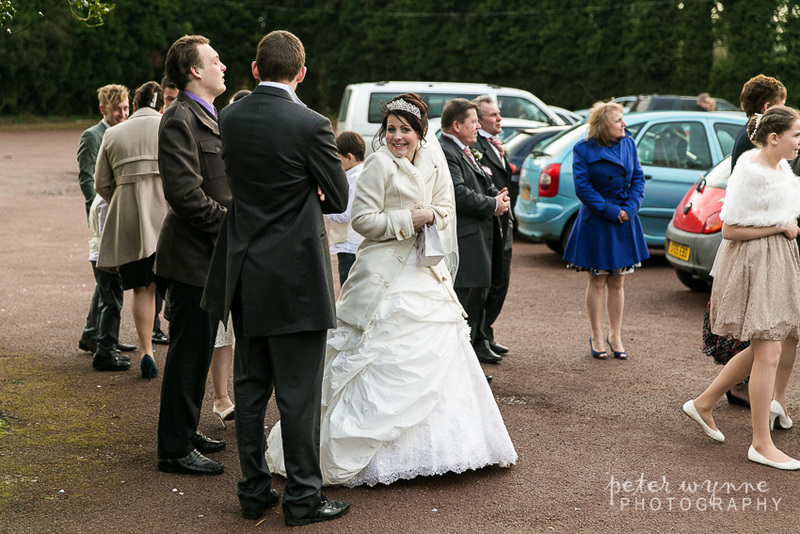 Charlotte looked stunning and just couldn’t wait to see Joel. 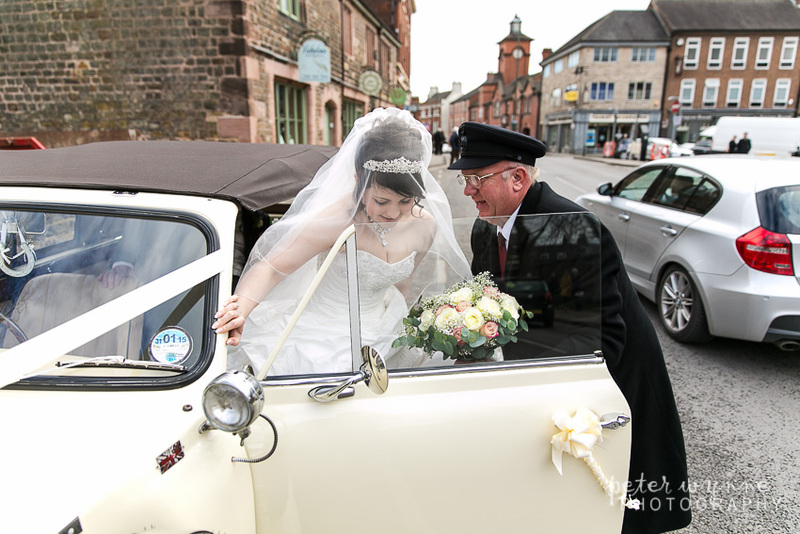 I took the usual photos in the wedding car and a few going into the church before getting myself inside and settled. 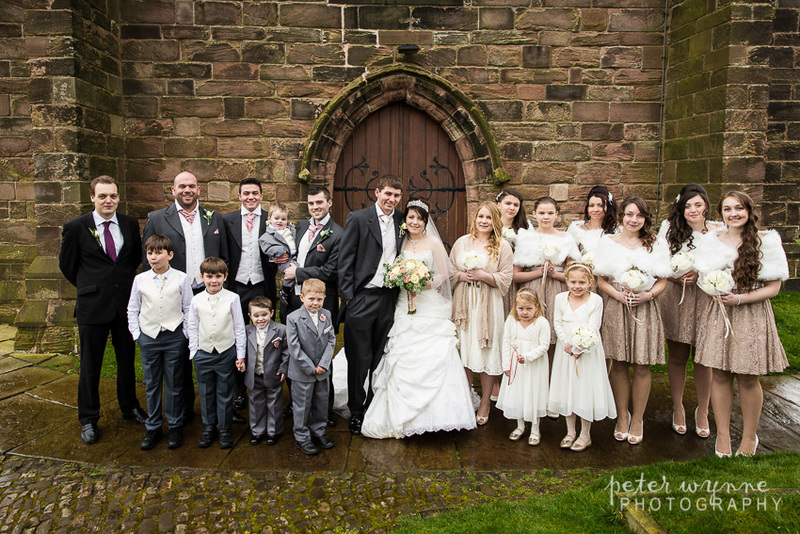 After a beautiful ceremony I spent some time outside the church mixing natural and formal group photos before heading off to the Swettenham Arms for the wedding reception. 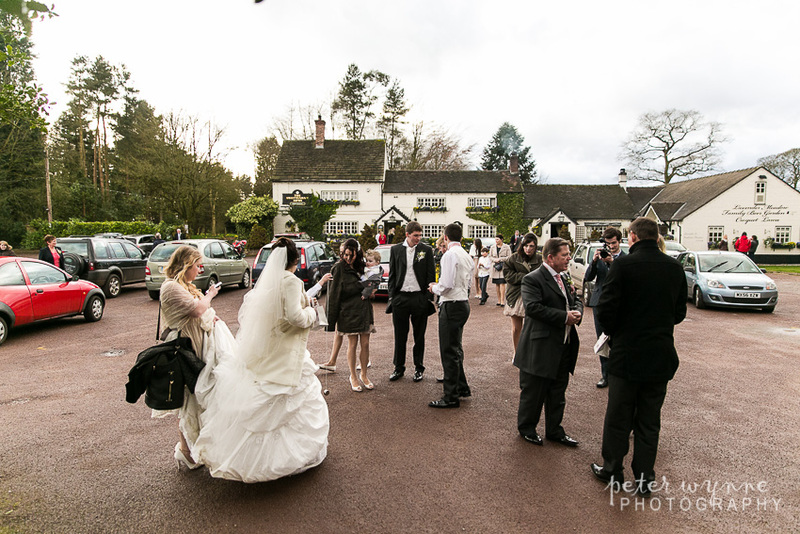 There was quite a drive to get there but I wanted to head off as soon as I could to capture the bride and grooms arrival. 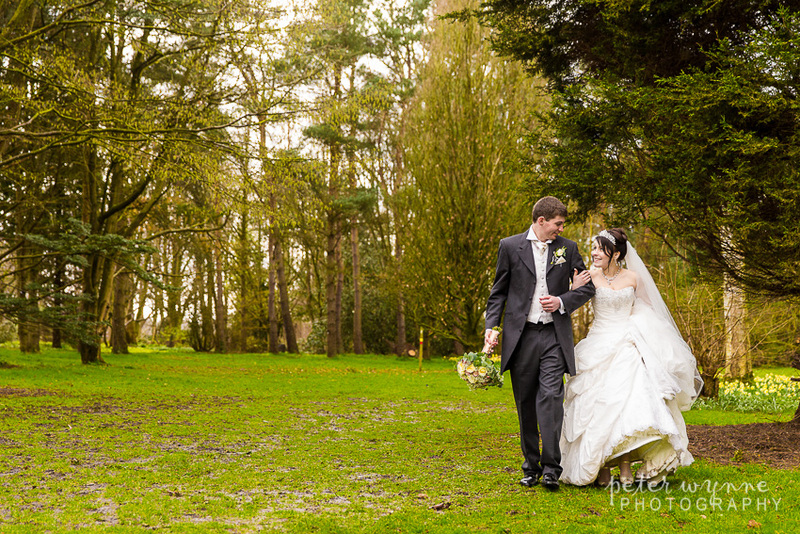 As Charlotte and Joel were first to arrive after me, I took advantage to take them around for some bridal portraits while guests were still arriving and they were lovely to work with, and soon after the family were ready, I quickly made a start on some formal group photos in the gardens around the back of the Swettenham Arms before they were ready to go in for their wedding breakfast. 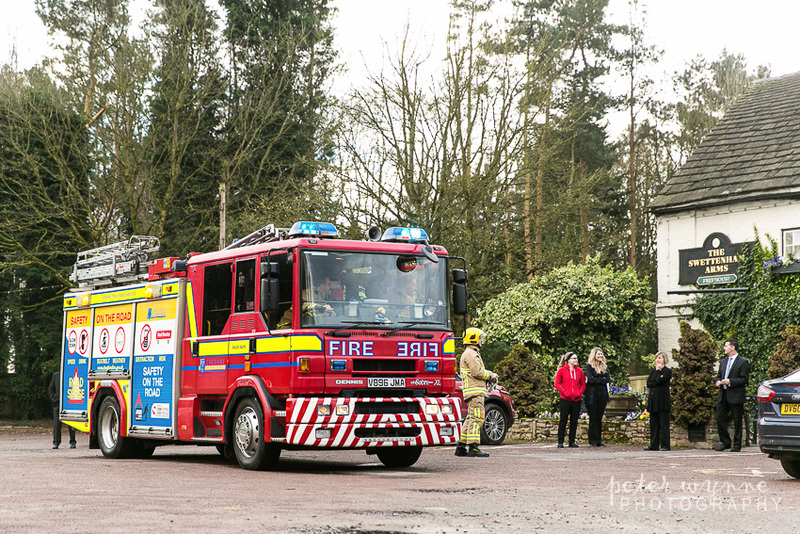 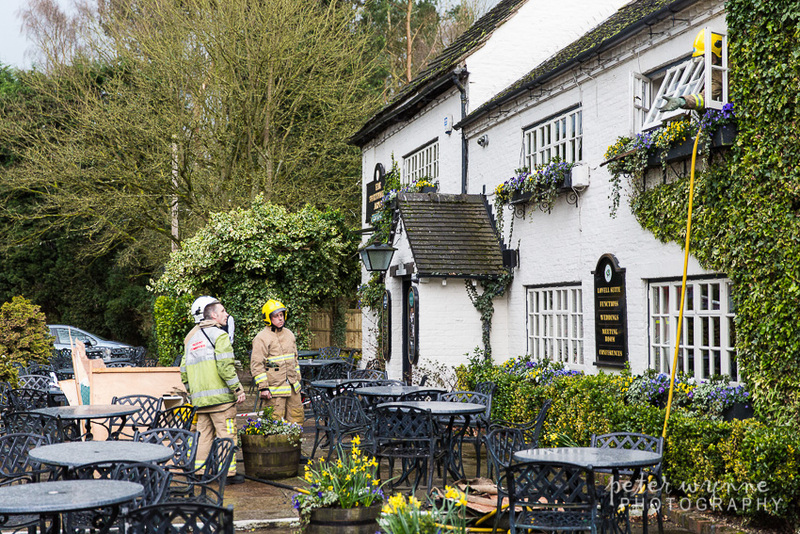 As the guests were enjoying their wedding breakfast, a chimney fire unfortunately broke out in the lounge area of the Swettenham Arms which meant the whole building had to be evacuated….certainly a first for me while working at a wedding. 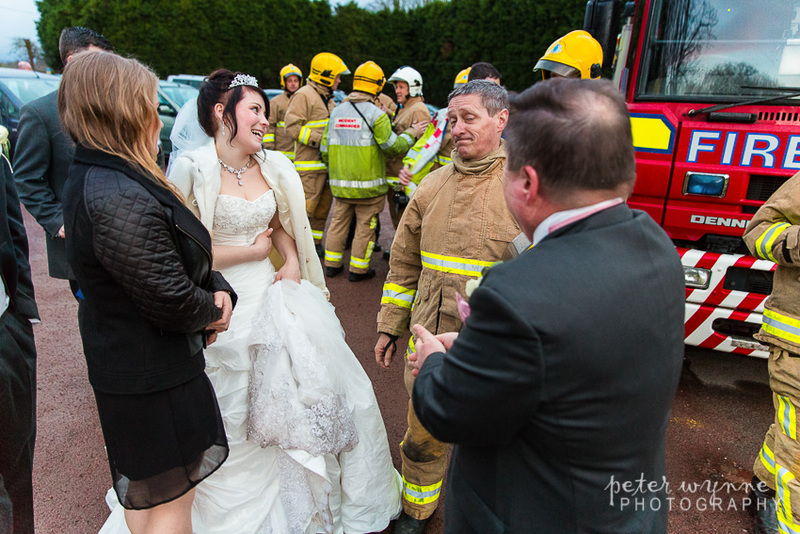 We waited for the emergency services to arrive to sort the fire out and make everything safe again, I couldn’t help myself….I had to get a photo of Charlotte and Joel with the fire crew and I was in for some luck. 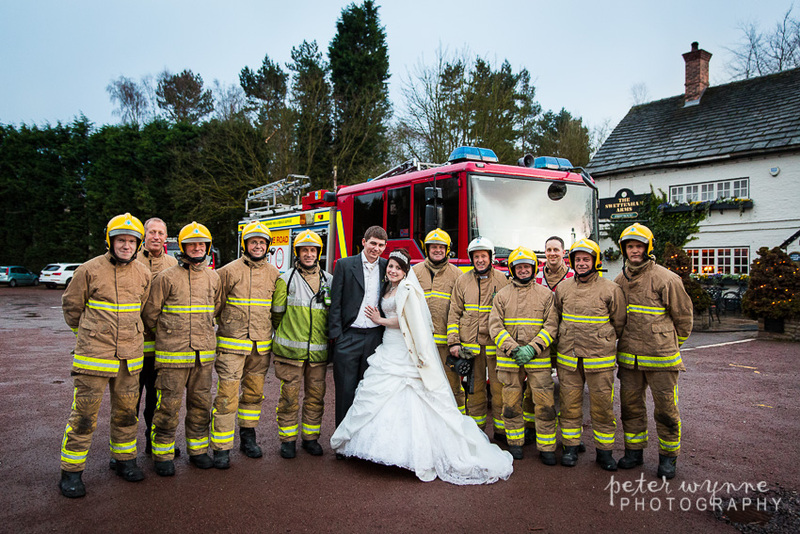 The guys from the Cheshire Fire brigade were so friendly and happy to oblige once they had taken care of fire, I was really chuffed I could get that shot. 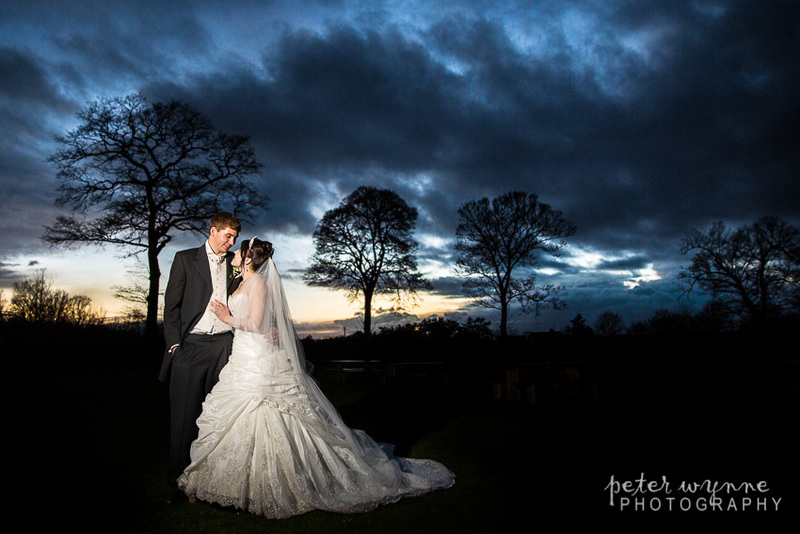 What an amazing day, the evening reception was off to a great start and I got some great sunset photos with Charlotte and Joel before covering the first dance. 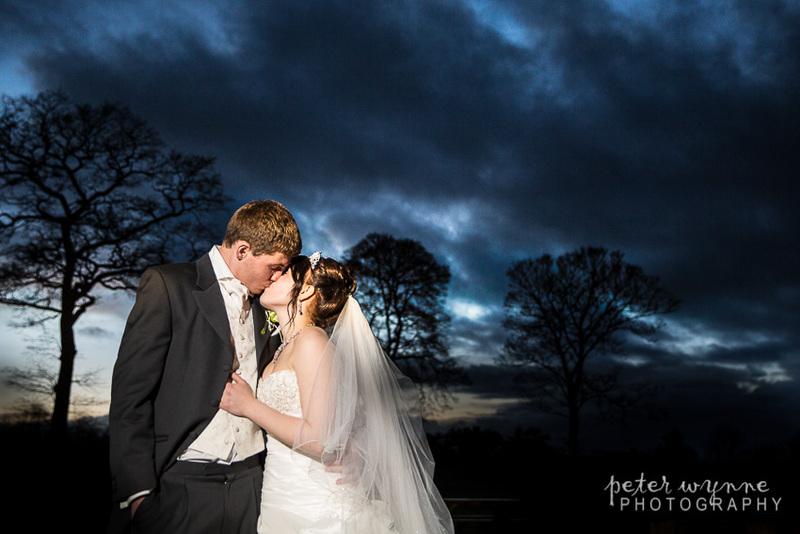 It was so lovely working with such an amazing couple. 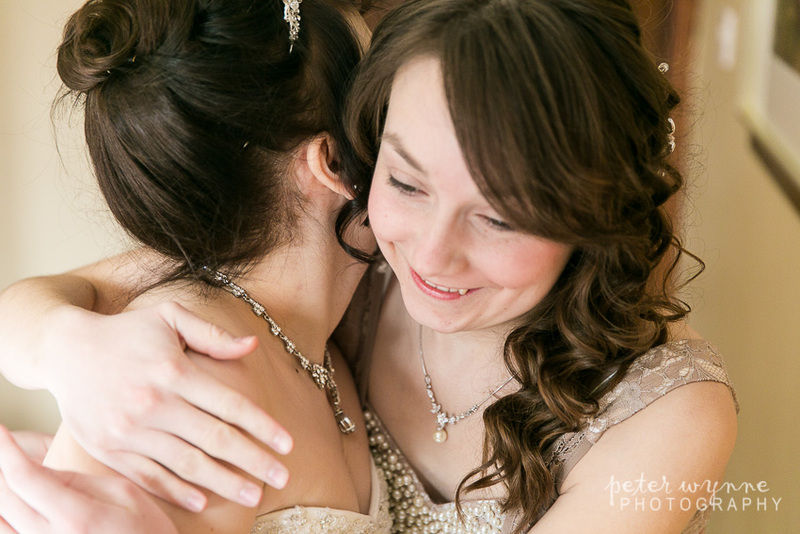 Thanks for letting me be part of your day. 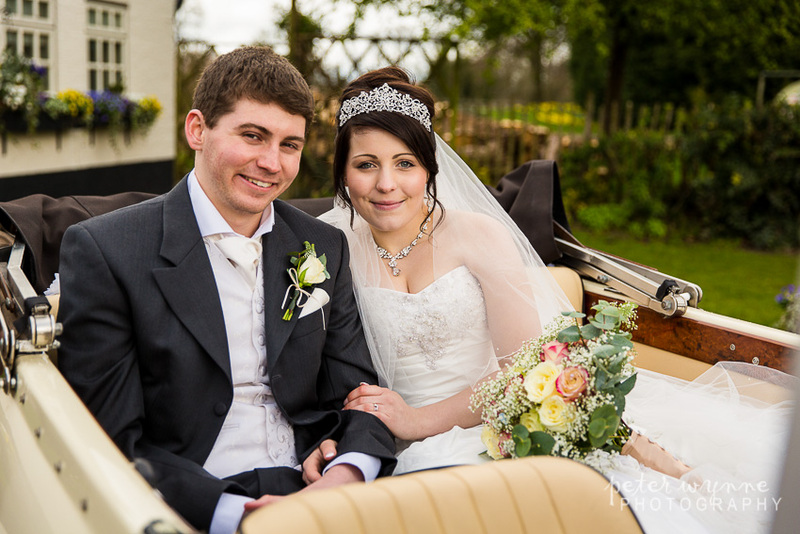 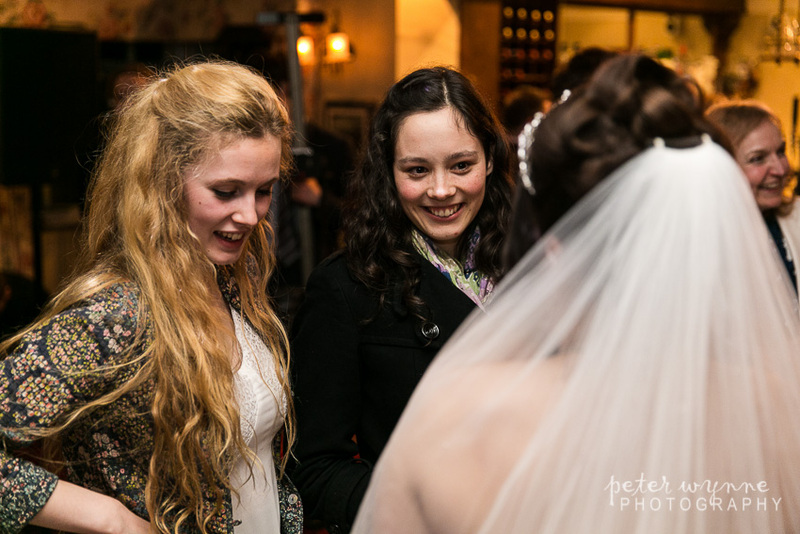 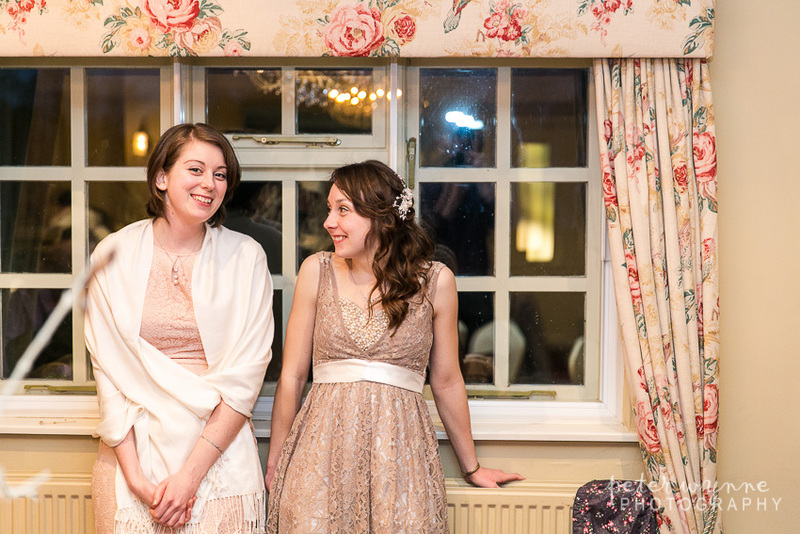 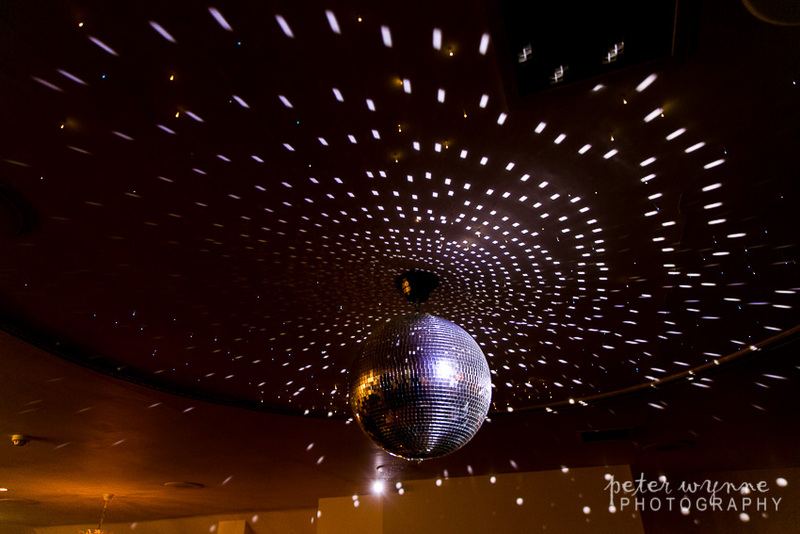 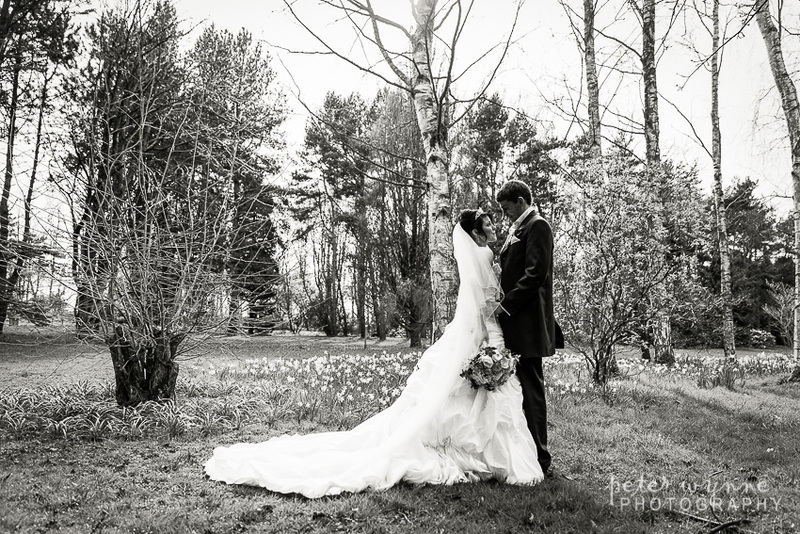 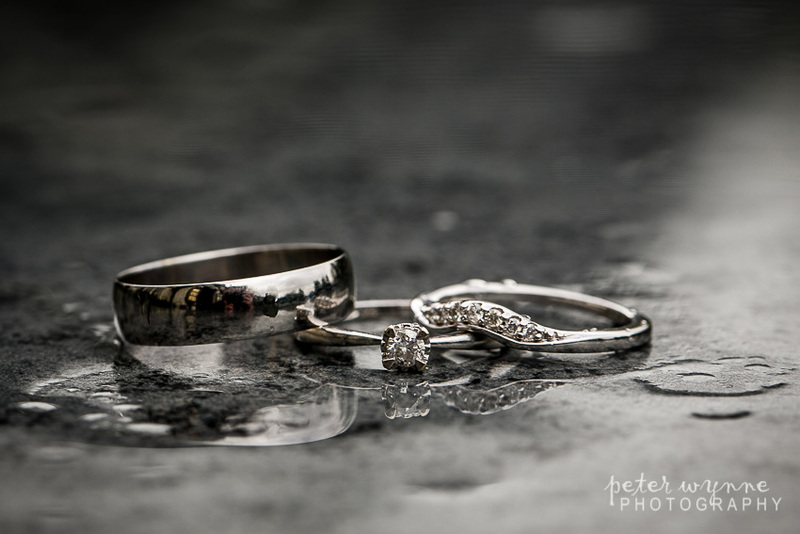 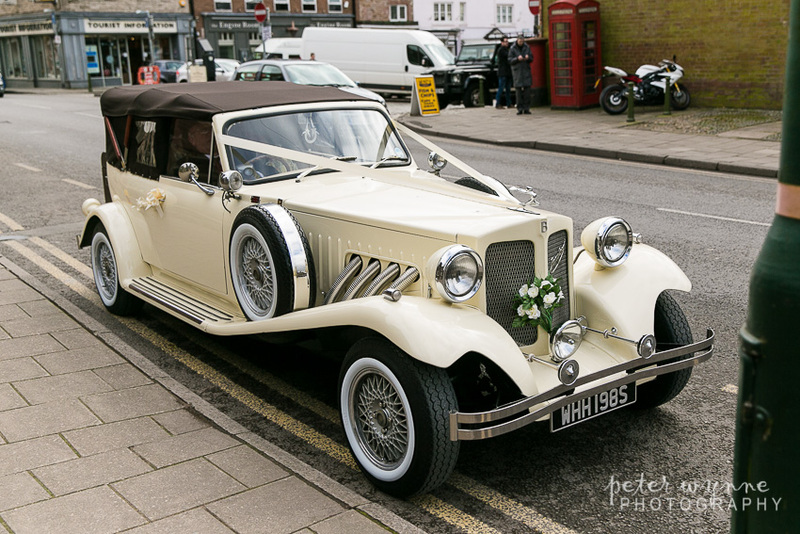 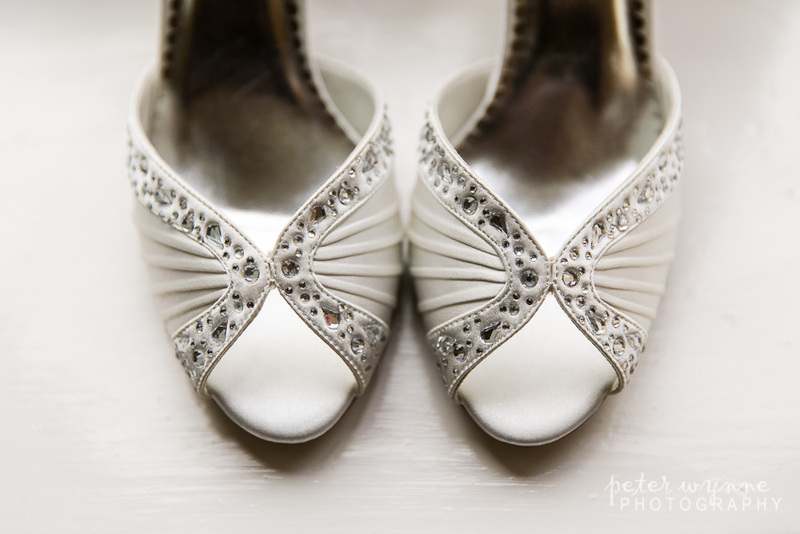 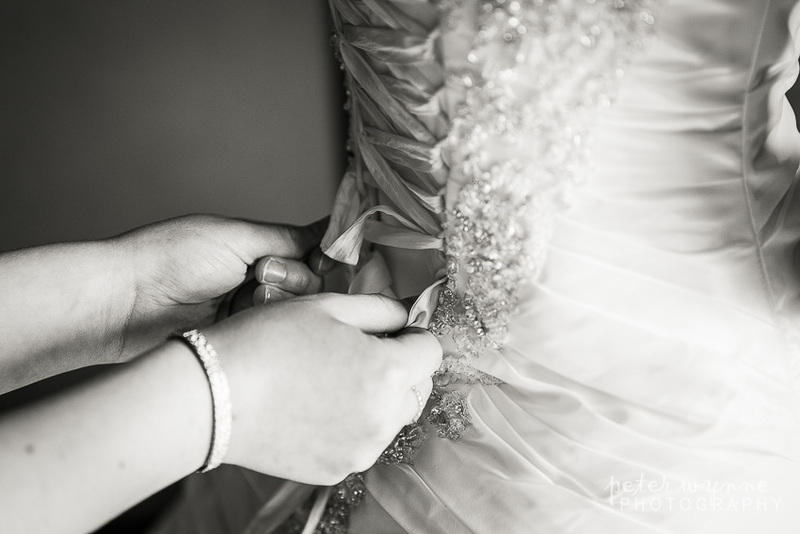 Please view the following examples of our latest Swettenham Arms wedding photography below.